Need to travel real soon? No matter what the distance may be, there’s always a private jet to perfectly suit your needs. At Jettly, our helpful flight success team will ensure your flight is a success from departure to arrival. As you reserve a private jet with us, you’ll find we have hundreds of aircraft you can choose from. These vary depending on size, interior space, flight range, and speed. Your private jet’s facilities will be prepared in accordance with any special in-flight requests such as WiFi on board. Plus, we have friendly and hospitable crew members to make your trip even more pleasant. You can rely on mid-range planes to take you on regional, international or even trans-Atlantic trips. These jets vary in size and capacity, in reference to the number of people or amount of cargo you’ll fly with. For business trips, you have the no-fuss, yet comfy and convenient planes. Business jets usually fly with natural and ambient lighting so you can stay relaxed while preparing for your meetings or conferences. The seats may be reclined and further adjusted to suit your preferable positions. The newer ones are much faster. They can also perform at higher altitudes so you can avoid bad weathers and busy air traffic. Additionally, these mid-range jets are suitable for European vacations. You can pick one with a bigger space and a higher rate in takeoff weight so you can bring all you’ll need for the trip. To know which planes can best suit your traveling preferences, consult with our flight success managers today. Why go through lengthy hours of road trips when you can readily reserve for a short-haul jet? In roughly an hour or so, you can already fly to the tropical destinations of South America if you’re coming from Canada or USA. A private, short range jet is what you’ll need if you’re planning up a getaway soon. It’s also great to reserve for sight-seeing trips. This type of plane usually has STOL (Short Take Off and Landing) capacity, which means it can operate on smaller airports or even grassy fields! Some planes are even amphibious. For quick business meetings or emergency trips, our helpful flight experts can immediately reserve you a plane within as little as a 30-minute notice. With over 400,000 commercial flights and having flown over 170 million passengers, the A380 continues to be every operator’s reliable aircraft. This plane has a 6,200-cubic feet, luggage capacity with a Maximum Take Off Weight (MTOW) of 575 tons or over 1.2 million pounds. Its interior space is equivalent to 500 passenger seats. It also has a maximum flying altitude of 43,000 feet. Contact us to charter this private jet today. The customized A330 continues to imbibe the latest technological updates to ensure comfort and efficiency for long haul, intercontinental flights. Its luggage capacity caters up to 975-cubic feet’s worth of cargo, as it approximately has a takeoff weight of 460,000 pounds. Its 2.16 x 3.16-meter interiors have an area equal to 280 seats. With its climb rate of 2,883 feet per minute, you can reach its highest altitude at 41,000 feet in less than 15 minutes. This just shows how fast the plane can go. Contact us to charter this private jet today. Known to have the quietest cabins among the A340 series, the A340-300 continues to thrive among top long-range planes. It operates on 4 engines, thus it doesn’t need much time to start up. This plane also has a spacious luggage capacity at 5,730 cubic feet, and its customized area is equivalent to 330 passenger seats. It flies with a Maximum Take Off Weight (MTOW) of 610,000 pounds. Contact us to charter this private jet today. With its 8,500-nautical mile range, it’s no wonder why the A340-500 is known as one of the world’s farthest reaching planes. This plane has commercially been flown within the most demanding routes, so you’ll be sure it’s reliable to fly on especially for intercontinental trips. It also has a luggage capacity of 1,400 cubic feet, with an 840,000-pound Maximum Take Off Weight (MTOW). The jet’s cabin size is at 3.69 x 2.16 meters and its area can accommodate 400 seats. Contact us to charter this private jet today. The A340-600 is known to have one of the longest fuselages among long range planes. It’s also sought for with the interior comforts it can provide. Enjoy more room throughout your flight as its customized area is equivalent to 420 passenger seats. It has a spacious luggage capacity at 1,300 cubic meters with a Maximum Take Off Weight (MTOW) of 840,000 pounds. Contact us to charter this private jet today. Indulgent and comfortable are few of the attributes related to this aircraft. With its sleek exteriors, this spacious jet can be customized to fit every private flyer’s travel requirements. Its standard cabin has a VIP quarters which includes an office, bathroom, shower, a bed and a seating area for passengers. This plane has a space equivalent to 160 seats with a luggage capacity of 1,200 cubic feet. Contact us to charter this private jet today. Known to be part of the “Queen of the Skies” series, Boeing 747-200’s longest possible flight was recorded at 14 hours. This long range plane’s space is equal to 500 passenger seats and it has a Maximum Take Off Weight (MTOW) of 833,000 pounds. It also has an 850-cubic feet’s worth of luggage space. You’ll surely have a comfy long-range flight with its spacious and customized interiors. Contact us to charter this private jet today. This jumbo jet is known to be one of the best-selling units among the 747 series. Its private version has been customized to fit the requirements of VIP flyers. Did you know its space is equivalent to over 500 passengers? Its luggage capacity is also quite spacious at 850 cubic meters. Contact us to charter this private jet today. The Boeing 767-200 / 200ER is a long-range jet with spacious interiors. Its cabin’s area is equivalent to 225 passenger seats, and it has been customized to ensure comfort during intercontinental flights. This plane’s luggage capacity is also set at 2,500 cubic feet and it has an average takeoff weight of 315,000 pounds. With its 430-knot speed, this plane can fly at its highest altitude in just 15 minutes. Contact us to charter this private jet today. As a wide-bodied jet, the Boeing 767-300’s 350-seat area has been customized for private travelers. It’s also filled with facilities to make sure you’ll have a comfy and convenient, long-haul trip. This plane’s luggage capacity is set at 2,500 cubic feet and it has an average takeoff weight of 380,000 pounds. To make the most of your flight, it’s best to confirm its facilities with our specialists. Contact us to charter this private jet today. The Boeing 767-400 is known to have an extended range, so it can accommodate for much lengthier trips. This aircraft has a space equivalent to 300 passenger seats. It can also make room for your cargo and luggage, with its 2,500 cubic-feet capacity. This customized jet has a Maximum Take Off Weight (MTOW) of 450,000 pounds. Contact us to charter this private jet today. Known to be among the most technologically advanced planes, the Boeing 777-200 / 200LR has wide cabins to make sure you’ll have a comfy trip. It’s also equipped with in-flight facilities to meet your requirements during long-range trips. This plane’s cabin space is equivalent to 400 passenger seats. It also has a luggage and cargo capacity of 4,500 cubic feet, with a Maximum Take Off Weight (MTOW) of 535,000 pounds. Contact us to charter this private jet today. The private Boeing 777-300 is a twin engine known for its wide body. Its interiors have been custom-built to meet the requirements of VIP flyers. This plane’s space is also equivalent to 270 passenger seats. It has a luggage capacity of 2,500 cubic feet and its Maximum Take Off Weight (MTOW) is at 660,000 pounds. Contact us to charter this private jet today. This aircraft is the private version of the 737 series. Given its plane of inspiration, this jet’s spaciousness is quite beneficial for VIP travelers. While its commercial variant typically seats 100 people, its exclusive version can seat 20 to 30 people. Its luggage capacity is set at 640 cubic feet with a Maximum Take Off Weight (MTOW) of 171,000 pounds. Contact us to charter this private jet today. This aircraft is usually reserved for smooth and restful flights. Its cabins were also designed to bring comfort for its passengers. The plane’s luggage area may be accessed while you’re in-flight, and it has a 325 cubic feet capacity. Up to 13 people can travel on this plane per flight. Contact us to charter this private jet today. 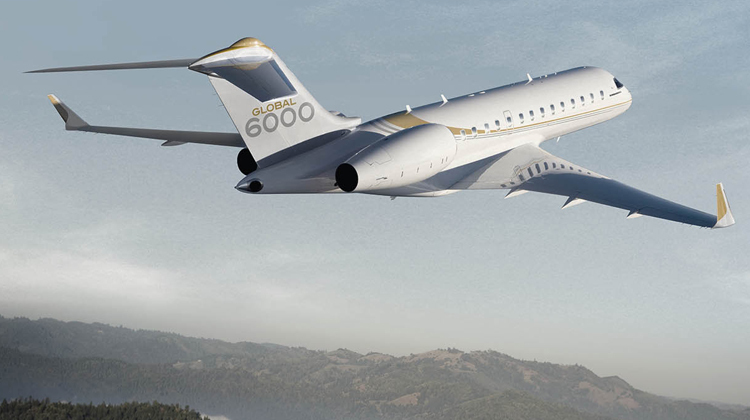 The Global 6000 is known to have the widest cabin in its category. It has broader tables, larger comfy seats and more accessible storage compartments. Up to 14 people can be seated in this private jet and it has a 325-cubic feet luggage capacity. It also flies with a Maximum Take Off Weight (MTOW) of 99,500 pounds. Contact us to charter this private jet today. This plane is among the ones which started the trend of long range jets. The Bombardier Global Express can seat up to 14 passengers per flight, plus it has a 325 cubic feet capacity for luggage. It approximately has a takeoff weight of 96,000 pounds. This is just the aircraft you’ll need for intercontinental travels. Contact us to charter this private jet today. The Bombardier Global Express XRS has been designed and built for non-stop, intercontinental flights. It was improved with the vision of flying passengers to much farther destinations. Up to 19 people can be seated in this aircraft. It has a luggage capacity of 325 cubic feet, plus it approximately has a takeoff weight of 98,000 pounds. Contact us to charter this private jet today. Known to have the tallest cabin among business jets, the Falcon 5X’s 6-foot, 6-inch interiors also has a Short Take Off and Landing (STOL) capacities. This means it can operate on smaller airports with short runways. Up to 14 people can be3 seated by this plane. It also has a Maximum Take Off Weight (MTOW) of 69,600 pounds. Contact us to charter this private jet today. The Falcon 7X is the first business aircraft to use fighter jet technologies. Its speed and performance efficiency is also combined with quiet, comfy cabins. Up to 19 people can fly on this plane, and it has a 196 cubic feet luggage capacity. This plane also has a Maximum Take Off Weight (MTOW) of 70,000 pounds. Contact us to charter this private jet today. This aircraft is known to offer speed, optimal performance, maneuverability and comfort. About 19 people can be seated on this aircraft, plus it has a luggage capacity of 196 cubic feet. When aboard this aircraft, you’ll certainly experience a sturdy ride on your upcoming intercontinental flights. It also has a Maximum Take Off Weight (MTOW) of 70,000 pounds. Contact us to charter this private jet today. The award-winning aircraft has quite a range as it can fly nonstop, to intercontinental destinations for 12 hours. Up to 15 people can travel on this aircraft. It also has a Maximum Take Off Weight (MTOW) of 91,000 pounds. With a climb rate of 4,000 feet per minute, it can reach its maximum altitude of 51,000 feet in less than 15 minutes. Contact us to charter this private jet today. With improved wings, the Gulfstream G650 is known for its speed and smooth rides. Its cabins are quieter, roomier and more adaptable. About 14 people can seat on this plane. It also has a 195 cubic feet luggage capacity, with a Maximum Take Off Weight (MTOW) of 99,600 pounds. Contact us to charter this private jet today. The Gulfstream 500 or Gulfstream V is among the first jets which set the standard in long range travels. This aircraft can seat up to 14 people, and it has a luggage capacity of 226 cubic feet. It also has a Maximum Take Off Weight (MTOW) of 90,500 pounds. With a Climbing Rate of 4,188 feet per minute, this plane can reach 51,000 feet in less than 15 minutes. Contact us to charter this private jet today. This aircraft has spacious interiors, with upper and lower decks. Its space is equivalent to 262 seats, and it has a Maximum Take Off Weight (MTOW) of 551,000 pounds. It has a 3.47 x 2.1 meter cabin. This was also customized to fit the needs of its private jet setters. Contact us to charter this private jet today. The Lockheed Tristar 500 is a spacious aircraft with an area equivalent to 220 seats. Its cabin was built with 2.1 x 5.8-meter interiors. Its Maximum Take Off Weight (MTOW) is set at 510,000 pounds. This plane has also been customized to meet the needs of its private passengers. Contact us to charter this private jet today. This plane is known to have one of the longest ranges among others in the same category. Its space is equivalent to 310 seats and it has a luggage capacity of 1,174 cubic feet. It also has a standard Maximum Take Off Weight (MTOW) of 602,500 pounds. The McDonnell Douglas MD11 also has a maximum altitude of 37,000 feet. Contact us to charter this private jet today. The McDonnell Douglas DC10 is ideal for regional and nearby international flights. This aircraft’s space is equivalent to 380 passenger seats. It also has a lot of room for your cargo and luggage, with a 1,174-cubic feet capacity. This jumbo plane’s Maximum Take Off Weight (MTOW) is set at 430,000 pounds. Contact us to charter this private jet today. This large spaced plane has an area equivalent to 259 seats. If you’ll need to bring loads of cargo to a regional destination, the McDonnell Douglas DC8 can get it done for you. Its dedicated compartment for luggage has a capacity of 1,174 cubic feet. It also has a Maximum Take Off Weight (MTOW) of 349,984 pounds. This aircraft can also fly to nearby continents and international destinations. Contact us to charter this private jet today. With its many variants, the Airbus A300 is known to be the luxurious option for those who’d like to privately travel to regional distances. It also flies within nearby, international distances. Its space is equivalent to 225 seats and it’s customized to fit the needs of VIP flyers. With a 975-cubic feet luggage capacity, it approximately has a takeoff weight of 372,000 pounds. Contact us to charter this private jet today. The Lockheed Tristar is one huge, luxurious plane which has an area equivalent to 250 seats. It also has a Maximum Take Off Weight (MTOW) of 430,000 pounds. This plane has been customized depending on its operator’s discretion. Some private units are catered to VIP flyers requiring the most convenient facilities, while others were made mostly for flying cargos. Inquire more about its facilities from us. Contact us to charter this private jet today. This wide bodied plane is just what you need to have a comfy, regional and nearby intercontinental flight. Its interior space is equivalent to 240 passenger seats. The A310 has a 975-cubic feet luggage capacity and it has a Maximum Take Off Weight (MTOW) of 361,620 pounds. Upon takeoff, this plane can also fly to its maximum altitude at 41,000 feet in less than 15 minutes. Contact us to charter this private jet today. The Boeing 757-200 is a spacious, private plane with an area equivalent to 210 passenger seats. It has a 2,500-cubic feet, luggage capacity with a Maximum Take Off Weight (MTOW) of 255,000 pounds. Upon take off, this plane can also fly up to 42,000 feet in less than 30 minutes. It’s just what you need for regional trips. Contact us to charter this private jet today. Known for its winglets which reduce drag and thus improve flying performance, the private Boeing 737-800 is sought after for regional travels. Its area is equivalent to 60 people and it has a 640-cubic feet, luggage capacity. This plane also has a Maximum Take Off Weight (MTOW) of 172,500 pounds. 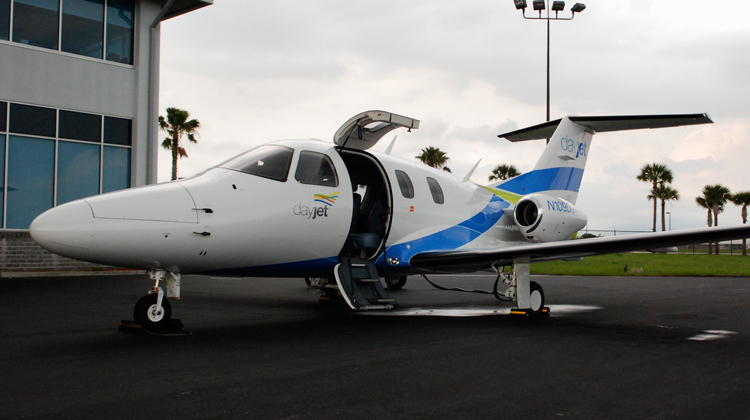 This eco-friendly aircraft is also among the jets which used green fuel to start up its engines. Contact us to charter this private jet today. The Tupolev 154 is a Russian made, narrow bodied aircraft which has a space equivalent to 180 passenger seats. This plane flies with an approximate takeoff weight of 210,000 pounds. It’s also ideal for regional trips. If you’ll need to reach a nearby continent or international destination, this customized aircraft can take you there. Contact us to charter this private jet today. 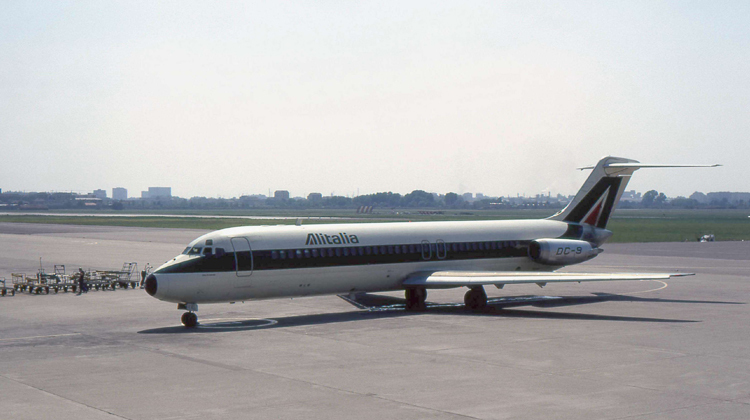 The customized McDonnell Douglas MD87 is just what you’ll need for luxurious, regional trips. This aircraft’s cabin space is equivalent to 130 seats. It also has a luggage capacity of 1,174 cubic feet. With its competitive speed, you’ll surely get to your destination at the soonest time possible. Contact us to charter this private jet today. VIPs and executive flyers can stay productive, comfy and well-rested aboard the Boeing 727 Executive. This spacious aircraft’s interiors are equivalent to 148 to 180 passenger seats. It also has a luggage capacity of 640 cubic feet, with an approximate takeoff weight of 180,500 pounds. The plane has also been furnished and customized to meet the needs of its VIP passengers. Contact us to charter this private jet today. The A318 Elite has one of the most complete facilities you’ll find, among private jets with regional routes. Some of its customized units have separate offices and even bedrooms. Its space can seat about 19 to 32 people. This plane also has a 975 cubic-feet, luggage capacity and a Maximum Take Off Weight (MTOW) of 149,600 pounds. Contact us to charter this private jet today. The Embraer Lineage 1000 has the complete creature comforts you’ll need to have a relaxing trip. Aside from meeting areas, it has a master suite and a walk-in bathroom. This plane can seat up to 16 people and it has a luggage capacity of 4,061 cubic feet. It also flies with a Maximum Take Off Weight (MTOW) of 120,152 pounds. Contact us to charter this private jet today. This 14-seat, exclusive aircraft is usually flown to regional destinations. It can also take private passengers to nearby continents. 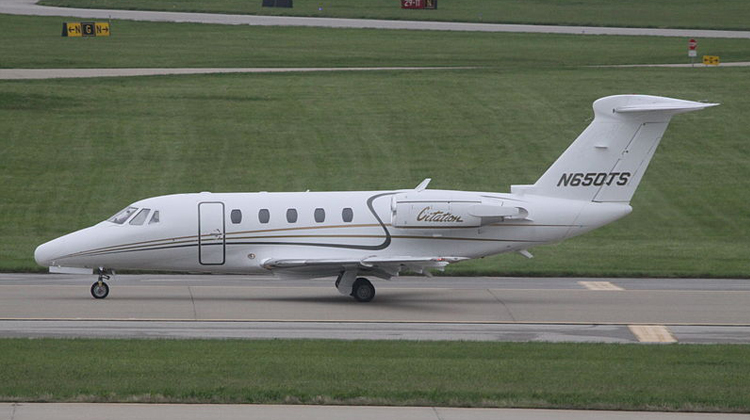 This jet has a luggage capacity of 169 cubic feet and it has a Maximum Take Off Weight (MTOW) of 70,900 pounds. You’ll definitely have an enjoyable trip with its competitive speed, aerodynamic design and overall reliable performance. Contact us to charter this private jet today. Whether you’re on a business trip or going on vacation, the Gulfstream G450 has the relaxing amenities you’ll need to have a leisurely flight. This plane can seat up to 13 people. It also has a luggage capacity of 169 cubic feet. This aircraft has a Maximum Take Off Weight (MTOW) of 74,600 pounds. Contact us to charter this private jet today. The Gulfstream GIV has the sleek interiors and complete amenities you’ll need to have comfortable trips. It can seat up to 16 people and it has a luggage capacity of 169 cubic feet. This aircraft has a Maximum Take Off Weight (MTOW) of 73,200 pounds. Upon take off, the GIV can also reach its highest altitude at 45,000 feet in just less than 15 minutes. Contact us to charter this private jet today. Embraer’s Legacy 650 is known for its reliability and high dispatch capacity. Its cabins are also organized into work, dining and relaxation areas. This aircraft can seat up to 14 people and it has a luggage capacity of 286 cubic feet. This jet also has a Maximum Take Off Weight (MTOW) of 53,572 pounds. Contact us to charter this private jet today. The trijet-powered Falcon 900 / 900EX has large cabins, and it’s generally known to bring comfort, efficiency and high performance in every flight. This plane can seat up to 12 passengers. It also has a luggage capacity of 127 cubic feet. This jet is also known to have one of the highest service ceilings at 51,000 feet. Its maximum altitude lets you to avoid busy airline traffic and bad weathers. Contact us to charter this private jet today. This tri-jet plane has spacious interiors which can fly up to 13 people per flight. The Falcon 900LX can operate on short runways and during hot weather conditions. It’s also known for its quiet cabins, offering comfy flights even to intercontinental destinations like Europe. It has a luggage capacity of 127 cubic feet. To make the most of your trip, it’s best to confirm about its facilities with our specialists. Contact us to charter this private jet today. This plane can fly to nearby continents, making it ideal for vacations. 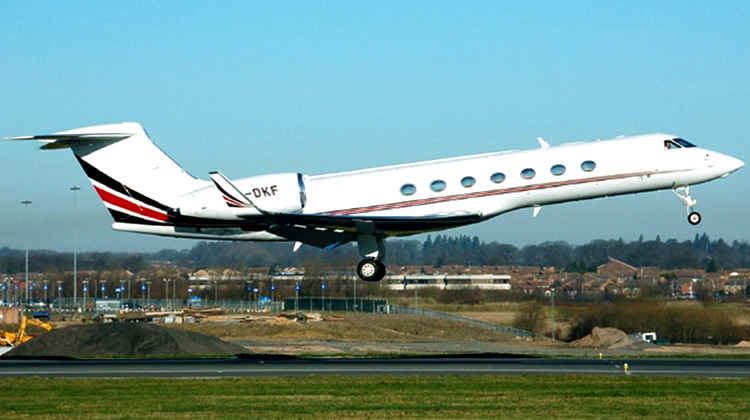 To swiftly reach regional destinations, the Gulfstream G2 would also be reliable to book for. It can seat up to 13 people per flight and it has a luggage capacity of 150 cubic feet. The aircraft also has a Maximum Take Off Weight (MTOW) of 63,582 pounds. Contact us to charter this private jet today. Gulfstream G3 has the complete facilities you’ll need to have comfy regional trips. If you’ll be traveling to a nearby continent, you can also rely on this aircraft to bring you a relaxing experience. This aircraft can seat up to 13 people and it has a luggage capacity of 169 cubic feet. It can also fly with a Maximum Take Off Weight (MTOW) of 69,700 pounds. Contact us to charter this private jet today. This aircraft is great for nearby, intercontinental flights. It can seat up to 19 passengers, and it has a luggage capacity of 169 cubic feet. This plane also has a Maximum Take Off Weight (MTOW) of 73,200 pounds. It has the facilities you’ll need to have a comfortable flight. Know more about its amenities by asking our flight experts. Contact us to charter this private jet today. Regional flights can get comfy when you’re on board the Gulfstream G300. This aircraft can seat up to 12 people, and it has a luggage capacity of 169 cubic feet. It also has quite a competitive speed compared to other jets within the same category. Additionally, this jet has a Maximum Take Off Weight (MTOW) of 73,200 pounds. Contact us to charter this private jet today. Spaciousness, comfort and flexibility are some of the features which the Challenger 605 can provide. This aircraft is just what you’ll need if you’re flying to a nearby, international destination. It has a luggage capacity of 115 cubic feet and a Maximum Take Off Weight (MTOW) of 48,200 pounds. This jet can also reach its maximum altitude at 41,000 feet, in less than 15 minutes. Contact us to charter this private jet today. The Challenger 604 claims to bring superior comfort in its cabins. This aircraft can seat from 10 to 19 people. It also has a luggage capacity of 115 cubic feet, with a Maximum Take Off Weight (MTOW) of 48,000 pounds. It can also reach its maximum altitude at 41,000 feet, in as fast as 10 minutes. Know more about how its performance and interior specifications can fit your travel needs. Contact us to charter this private jet today. The Falcon 2000LX was launched with its strength in fuel efficiency and interior comfort. This plane can seat up to 10 people, and it also has a luggage capacity of 131 cubic feet. It can also reach its highest, flying attitude at 41,000 feet in less than 15 minutes upon take off. This aircraft also has a Maximum Take Off Weight (MTOW) of 35,083 pounds. Contact us to charter this private jet today. This aircraft is known to for its Enhanced Avionics System (EASy) Flight Deck, which increases situational awareness, safety and efficiency. The Falcon 2000 EASy can seat up to 12 passengers in its spacious interiors. It also has a luggage capacity of 131 cubic feet, with a Maximum Take Off Weight (MTOW) of 42,200 pounds. Upon take off, it can also reach its maximum altitude of 47,000 feet in just less than 15 minutes. Contact us to charter this private jet today. 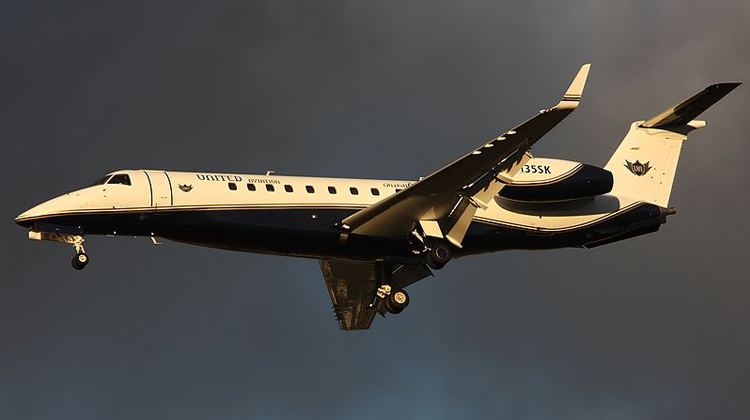 This jet is one of the latest units to be released within the business category. It can seat up to 12 people, and it has a luggage capacity of 640 cubic feet. With a maximum altitude of 45,000 feet, the Cessna Citation Longitude also has the latest avionic features for its operating pilots. It’s just what you need for regional trips. Contact us to charter this private jet today. The Gulfstream G280 lets you fly in style as you reach nearby, intercontinental destinations. Known for fuel economy, this plane also has aerodynamic capacities to ensure you’ll have an efficient trip. It can seat up to 12 people and it has a luggage capacity of 169 cubic feet. This jet also has a Maximum Take Off Weight (MTOW) of 73,200 pounds. Contact us to charter this private jet today. 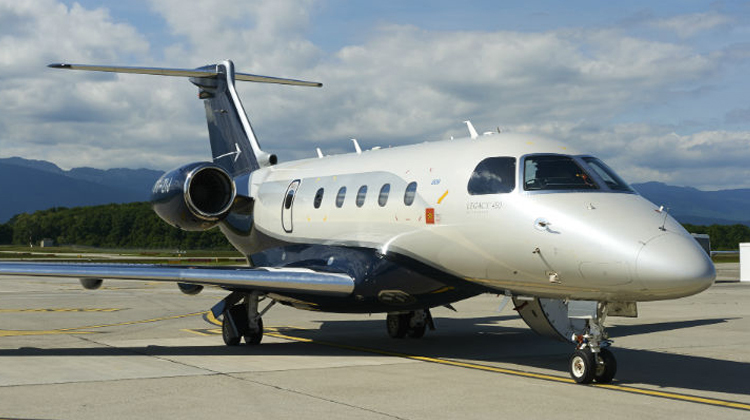 The Hawker 1000 is a spacious mid-sized, private jet which can fly to nearby, intercontinental destinations. It can seat up to 5 people, and it has a luggage capacity of 65 cubic feet. This plane also has a Maximum Take Off Weight (MTOW) of 25,000 pounds. Upon take off, the Hawker 1000 can reach its highest altitude at 41,000 feet in just less than 15 minutes. Contact us to charter this private jet today. The Cessna C750 Citation X is just what you’ll need if you’d like to avoid air traffic and bad weathers. Its speed enables you to reach its highest elevation at 51,000 feet, in less than 15 minutes. This plane can seat up to 8 passengers, and it’s ideal for speedy regional trips. It also has a luggage capacity of 82 cubic feet with a Maximum Take Off Weight (MTOW) of 36,098 pounds. Contact us to charter this private jet today. This super mid-sized jet is great for corporate and leisurely travelers. It can seat up to 9 people and it has a luggage capacity of 154 cubic feet. This aircraft also has a Maximum Take Off Weight (MTOW) of 35,450 pounds. With its competitive speed and altitude, you’ll be ensured to reach your destination at the most efficient pace possible. This can be flown to regional or nearby international locations. Know more about its facilities by asking our flight experts, and Contact us to charter this private jet today. 1123 Commodore is great for quick meetings or nearby, regional conferences. This aircraft can seat up to 7 people and it has a luggage capacity of 63 cubic feet. This plane can also be booked for vacations. The aircraft also has an approximate takeoff weight of 23,500 pounds. At 5,000 feet per minute, it also has one of the fastest climbing rates in its category. Contact us to charter this private jet today. Being widely flown for 3 decades, the 1124 Westwind continues to stay reliable for regional and nearby, international trips. This aircraft can seat up to 10 people and it has a luggage capacity of 297 cubic feet. It also has a Maximum Take Off Weight (MTOW) of 22,850 pounds. This plane has a competitive service ceiling at 45,000 feet, enough for you to glide through air traffic and avoid bad weathers. Contact us to charter this private jet today. Have luxurious, short range trips on board the 1125 Astra. This aircraft can seat up 8 people and it has a luggage capacity of 60 cubic feet. It has a Maximum Take Off Weight (MTOW) of 24,650 pounds. Upon take off, the 1125 Astra can reach its highest altitude at 45,000 feet in less than just 15 minutes. Contact us to charter this private jet today. Now you can experience comfort and spaciousness on board the Airbus A318. This plane has an area equivalent to 129 passenger seats. It also has a luggage capacity of 975 cubic feet, plus it has a Maximum Take Off Weight (MTOW) of 150,000 pounds. Upon take off, this customized plane can also reach 41,000 feet in less than 15 minutes. Contact us to charter this private jet today. The Airbus A319 has a spacious cabin space, with an area equivalent to 145 passenger seats. This plane is best for short range, cargo transfers or flights which need to accommodate more people. It has a huge luggage capacity of 975 cubic feet. Additionally, this jet has a Maximum Take Off Weight (MTOW) of 166,000 pounds. Contact us to charter this private jet today. With many variants produced, the Airbus A320 is known to be one of the most versatile private jets around. Its area is equivalent to 140 passenger seats and it has a luggage capacity of 975 cubic feet. This customized plane is complete with the facilities you’ll need to have a relaxing, regional or nearby international trip. It also has a Maximum Take Off Weight (MTOW) of 172,000 pounds. Contact us to charter this private jet today. The customized, Airbus A321 has one of the most luxurious cabins you’ll need to have relaxing, short range trips. This plane is just what you’ll need if you’re traveling to regional or nearby international locations. The A321 has a luggage capacity of 975 cubic feet. It also flies with a Maximum Take Off Weight (MTOW) of 206,000 pounds. Upon take off, this jet can reach its highest altitude at 41,000 feet in less than 15 minutes. Contact us to charter this private jet today. The Adam A500 is ideal for sightseeing trips. You can also book this plane if you’ll need to quickly go to a meeting across the city or to the nearest international location. This aircraft can seat up to 5 people per trip. For your guidance, its capacity or allowable gross weight is set at 7,000 pounds. This plane also has a maximum altitude of 25,000 feet. Contact us to charter this private jet today. What used to be a reliable aircraft for utility transport, has not become every flying enthusiast’s go-to plane. 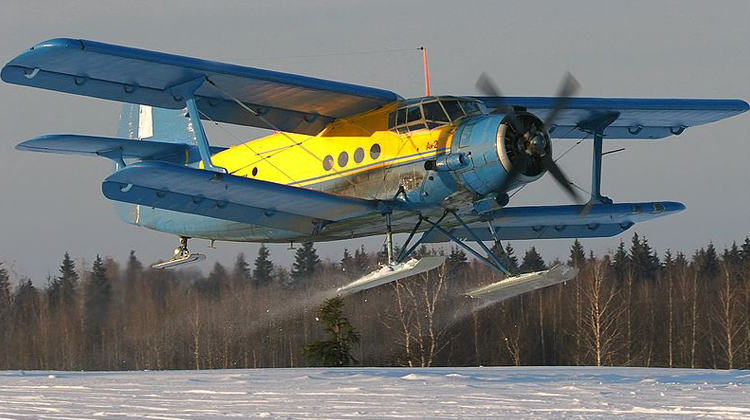 The An 2 from Antonov has Short Take Off and Landing capacities. This means the plane can operate on small airports and short runways. It can seat up to 12 people and it has a Maximum Take Off Weight (MTOW) of 12,125 pounds. This aircraft is great for quick trips and sightseeing adventures. Contact us to charter this private jet today. The short-haul oriented, An 24 is known for its spacious interiors which are useful enough for quick trips. Its space is equivalent to 52 passenger seats and it has been customized to fit the needs of private flyers. This plane also provides the option for you to place you cargo in its cabin. It has a Maximum Take Off Weight (MTOW) of 46,297 pounds. Contact us to charter this private jet today. The An 26 was built for the Russian military to transport their cargo on within short ranges. Today, it continues to be every VIP flyer’s reliable aircraft for quick meetings or sightseeing trips. This spacious plane has a space equivalent to 20 passenger seats. This customized aircraft also offers a Maximum Take Off Weight (MTOW) of 48,000 pounds. Contact us to charter this private jet today. Known to operate on rougher than usual terrains or short runways, the An 28 is every VIP flyer’s go-to aircraft for quick trips. It has the capacity to fly to or from smaller airports too. This plane can seat up to 18 people. The An 28 has a Maximum Take Off Weight (MTOW) of 13,450 pounds. As it takes off, this aircraft can reach its maximum altitude at 19,700 feet in just less than 10 minutes. Its speed is just ideal for steady flying paces. Contact us to charter this private jet today. Antonov’s An 30 used to be a surveillance aircraft for cartography (map drawing) and surveying missions. As it has undergone developments, it’s now useful for quick trips and sightseeing tours. Its space is equivalent to 50 passenger seats and it allows for you to bring your luggage inside the cabin. This aircraft has a Maximum Take Off Weight (MTOW) of 50,706 pounds. For a more convenient trip, it’s best to confirm its interior layout with our flight experts. Contact us to charter this private jet today. Antonov’s An 32 can operate in the midst of a hot weather and even on mountain airfields. Its space is equivalent to 50 passenger seats. It also has a Maximum Take Off Weight (MTOW) of 59,400 pounds. This aircraft offers a sturdy ride to those who’d like to take on short range trips for urgent meetings or sightseeing adventures. Contact us to charter this private jet today. The An 72 operates with a Short Take Off and Landing (STOL) feature. This means you can fly from or land to airports with shorter runways. With its flexibility, you will have more runway options to choose from. You can even choose an airport nearest to your intended location. This aircraft’s space is equivalent to 68 passenger seats and it has a Maximum Take Off Weight (MTOW) of 60,625 pounds. Contact us to charter this private jet today. This plane is known to operate in various climates. It also brings flying agility, with its over-the-wing twin engines. The An 74’s cabin area is also equivalent to 68 passenger seats. For convenient flights, it would be best to confirm its luggage features inside its 52 cubic-meter cabin. This aircraft also has a Maximum Take Off Weight (MTOW) of 80,469 pounds. Contact us to charter this private jet today. Looking for a short range plane with mixed passenger and cargo features? The An140 can be just what you’re looking for. This aircraft’s space is equivalent to 52 passenger seats. For your reference, it also has a Maximum Take Off Weight (MTOW) of 47,350 pounds. Contact us to charter this private jet today. Among short range planes, the Antonov An 148 is known to have the quietest cabins around. This aircraft also has spacious interiors, it can have the facilities to accommodate cargo in its cabin. Its area is equivalent to 70 passenger seats. It also has an average takeoff weight of 41,000 pounds. Contact us to charter this private jet today. The Advanced Turbo Prop or ATP was introduced with low noise and fuel efficient features for short haul trips. Its space is equivalent to 68 passenger seats, with a luggage capacity of 460 cubic feet. It’s just your ideal aircraft if you need to bring cargo with you, along with a couple of passengers during a short flight. This plane has a Maximum Take Off Weight (MTOW) of 50,550 pounds. Contact us to charter this private jet today. The French-manufactured, ATR42 has a longer-than-usual range in reference to short haul trips. This plane can be flown for nearby, regional trips. Its space is equivalent to 50 passenger seats and it has a luggage capacity of 381 cubic feet. It also has an average takeoff weight of 17,000 pounds. Upon leaving the ground, it can reach its highest altitude at 25,000 feet in less than 15 minutes. Contact us to charter this private jet today. 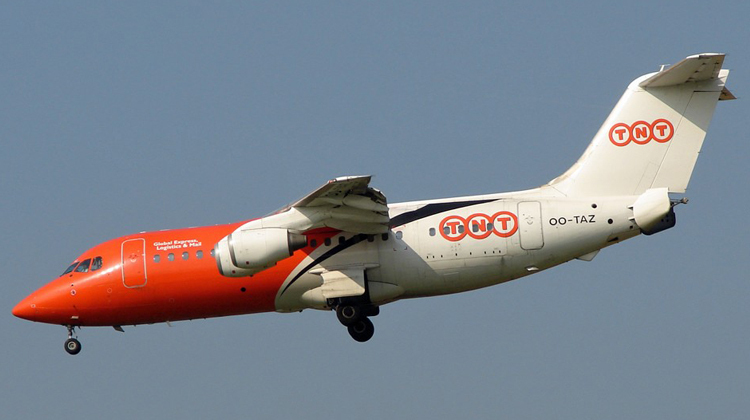 The French-Italian manufactured ATR72 can fly to short haul and nearby regional locations. Its space is equivalent to 72 passenger seats and it has a luggage capacity of 375 cubic feet. For your reference in relation to the load of cargo you’ll bring, this plane has a Maximum Take Off Weight (MTOW) of 50,706 pounds. Upon take off, it can reach its maximum altitude at 25,000 feet in less than 20 minutes. Contact us to charter this private jet today. This jet is known to have one of the quietest cabins among short haul trips. It can also fly to nearby, regional distances. This plane has a space equivalent to 80 passenger seats, and it has a 645-cubic feet luggage capacity. It also has a Maximum Take Off Weight (MTOW) of 84,000 pounds. Contact us to charter this private jet today. Manufactured by British Aerospace, the BA146-100 / Avro RJ70 has a space equivalent to 82 passenger seats. It also flies with a luggage capacity of 479 cubic feet. This aircraft has a Maximum Take Off Weight (MTOW) of 84,000 pounds. It can fly to regional and nearby international destinations. Contact us to charter this private jet today. 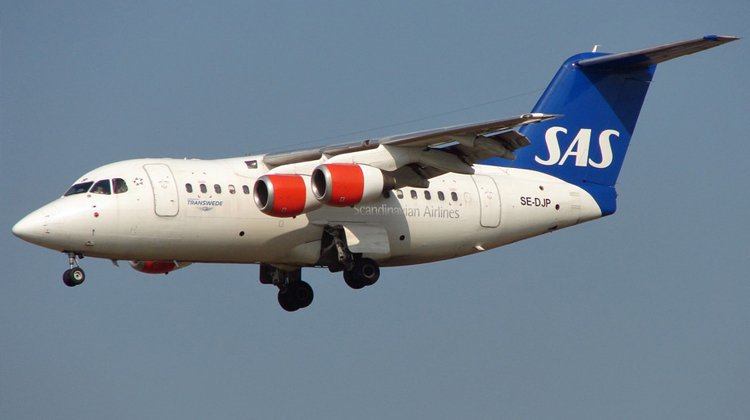 With improved engines, British Aerospace’s BA146-200 / Avro RJ85 is flown for short haul and nearby, regional distances. Its space is equivalent to 82 passenger seats. It also has a luggage capacity of 479 cubic feet. This aircraft has a Maximum Take Off Weight (MTOW) of 84,000 pounds. Contact us to charter this private jet today. Known to have a stretched fuselage among its variants, the BA146-300 / Avro RJ100 has a space equivalent to 128 passenger seats. It also has a luggage capacity 812 cubic feet. This plane also has a Maximum Take Off Weight (MTOW) of 995,000 pounds. It’s just what you need for short haul and nearby, regional trips. Contact us to charter this private jet today. This British airliner has a space equivalent to 89 passenger seats. It also has a luggage capacity of 534 cubic feet. The BAC 1-11 can fly with a Maximum Take Off Weight (MTOW) at up to 74,500 pounds. Upon take off, this plane can reach its maximum altitude at 35,000 feet in just less than 14 minutes. Contact us to charter this private jet today. The BAe125-400 is a mid-sized corporate jet which has had various developments to fit the needs of its VIP travelers. It can seat up to 8 people and its facilities were customized for short haul trips. This aircraft has a Maximum Take Off Weight (MTOW) of 25,000 pounds. Upon take off, the plane can reach its highest altitude at 40,000 feet in just less than 15 minutes. Contact us to charter this private jet today. The Gulfstream G280 lets you fly in style as you reach nearby, intercontinental destinations. Known for fuel economy, this plane also has aerodynamic capacities to ensure you’ ll have an efficient trip. It can seat up to 12 people and it has a luggage capacity of 169 cubic feet. This jet also has a Maximum Take OffWeight (MTOW) of 73,200 pounds. Contact us to charter this private jet today. The Beech 390 Premier 1 brings comfort and even luxury for short range trips. This plane can seat up to 6 people. It also has a luggage capacity of 77 cubic feet. This jet has a Maximum Take Off Weight (MTOW) of 12,500 pounds. For a short haul aircraft, it has a decent flying altitude at 41,000 feet. Its performance applicably fits the needs of business flyers and those who’d like to get to their destination at the fastest rate. Contact us to charter this private jet today. This plane is a stretched development of its predecessor to accommodate more comfort. It can seat up to 9 people and it has a luggage capacity of 48 cubic feet. This aircraft also has a Maximum Take Off Weight (MTOW) of 11,800 pounds. Upon takeoff, the Beech BE100 King Air can reach its maximum altitude at 24,850 feet in less than 15 minutes. Contact us to charter this private jet today. The Beech BE200 Super King Air is a corporate plane which can also be used for utility purposes. This customizable aircraft can seat up to 9 people. It also has a luggage capacity of 59 cubic feet. This jet’s Maximum Take Off Weight (MTOW) is at 12,500 pounds. Upon take off, it can reach its maximum altitude at 35,000 feet in less than 15 minutes. Contact us to charter this private jet today. This aircraft was developed to have an increased cabin space for more comfort. It can seat up to 8 people and it has a luggage capacity of 59 cubic feet. The Beech BE300 Super King Air also flies with a Maximum Take Off Weight (MTOW) of 14,000 pounds. When it takes off, the aircraft can reach its highest altitude at 35,000 feet in less than 15 minutes. Contact us to charter this private jet today. This plane has comfy interiors fit for short haul flights. Did you know it has a Short Take Off and Landing (STOL) capacity? This means the plane can operate in smaller than usual airports and shorter runways. It also seat up to 11 people, plus it has a luggage capacity of 55 cubic feet. For your reference, it approximately has a takeoff weight of 15,000 pounds. Contact us to charter this private jet today. The Beech BE55 Baron is a lightweight plane which can seat up to 5 people. Its engines were improved to increase its flying pace. This aircraft has a Maximum Take Off Weight (MTOW) of 5,100 pounds, with a luggage capacity of 48 cubic feet. Aside from its usefulness for quick meetings, it also has the flying altitude that’s ideal for sightseeing trips. Contact us to charter this private jet today. This light aircraft is originally intended for business trips. Additionally, it would be great to book for getaways to nearby regional destinations. It has a luggage capacity of 512 cubic feet and it flies with a Maximum Take Off Weight (MTOW) of 6,775 pounds. When it takes off the ground, the plane can fly as high as 30,000 feet in less than 20 minutes. It’s the practical aircraft to choose, if you require steady speeds throughout your flight. Contact us to charter this private jet today. The Beech BE76 Duchess is a practical, lightweight aircraft that’s best used for across-the-town meetings, quick getaways or sightseeing trips. This plane’s luggage capacity is at 53 cubic feet. It also has a Maximum Take Off Weight (MTOW) of 3,900 pounds. This aircraft also has a steady glide, so you’ll always enjoy the scenery in any purpose you may be flying. Contact us to charter this private jet today. This aircraft can be used for passengers and freight. When used for business or leisurely trips, the Beech BE90 King Air can seat up to 9 people. It also has a luggage capacity of 51 cubic feet. For your reference, this aircraft’s Maximum Take Off Weight (MTOW) is 93,000 pounds. It’s just the practical unit you’ll need for quick travels. Contact us to charter this private jet today. For sightseeing tours, the Beech Queen Air B80 would be ideal to book for. It has Short Take Off and Landing (STOL) capacities, so it can operate on smaller airports with short runways. This plane can seat up to 11 people and it has a luggage capacity of 48 cubic feet. It also has a Maximum Take Off Weight (MTOW) of 8,800 pounds. Contact us to charter this private jet today. The Beechcraft 1900 is a spacious aircraft which has Short Take Off and Landing (STOL) capabilities. It has a space equivalent to 19 passengers and a 192-cubic feet capacity for your luggage. This plane has a Maximum Take Off Weight (MTOW) of 17,120 pounds. It also has a steady speed to ensure comfy trips to your short haul destinations. Contact us to charter this private jet today. This aircraft has just the comfy interiors you’ll need to have relaxing, short haul trips. It can seat up to 7 passengers and it has a luggage capacity of 59 cubic feet. It also flies with a Maximum Take Off Weight (MTOW) of 16,100 pounds. This is just the ideal unit if you are going on a business trip or if you’d like a plush aircraft for your short haul travels. Contact us to charter this private jet today. 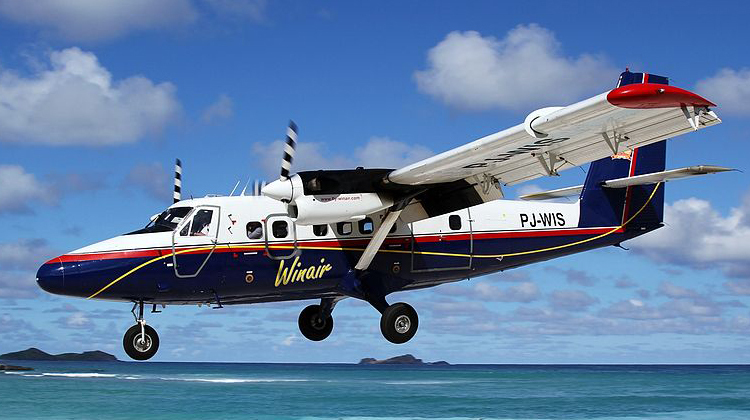 Built to fly both passengers and freight, the BN2 Islander has a seating capacity of 8 people. This plane is lightweight hence it has the agility to cover nearby, international and regional flights. It has a luggage capacity of 47 cubic feet and a Maximum Take Off Weight (MTOW) of 6,600 pounds. The aircraft also brings steady glides, for passengers to enjoy. Contact us to charter this private jet today. The BN2A Trislander is great for short range adventures. It can seat up to 18 passengers and it has a luggage capacity of 47 cubic feet. This aircraft also has a Maximum Take Off Weight (MTOW) of 10,000 pounds. It also has the altitude and steady glides you’ll need to have enjoyable rides during sightseeing tours. Contact us to charter this private jet today. This plane has been built for utility and transport purposes. If you’re planning on going for a short haul trip, the aircraft can accommodate up to 18 passengers for your guidance. It also flies with a Maximum Take Off Weight (MTOW) of 10,000 pounds. The BN-2T Turbine Islander brings enjoyable, sturdy glides if you’re also up for a sightseeing trip. Contact us to charter this private jet today. The Boeing 717 brings luxurious experiences to its private flyers. This customized, spacious aircraft has an area equivalent to 117 passenger seats. Its luggage capacity is also set at 640 cubic feet, making lots of room for your freight. It flies with a Maximum Take Off Weight (MTOW) of 110,000 pounds. Contact us to charter this private jet today. This customized plane has stylish interiors and spacious cabins. Its wide-spaced interiors are equivalent to 189 passenger seats. The Boeing 727-200’s compartment can accommodate 640 cubic feet’s worth of luggage. It can also fly with a Maximum Take Off Weight (MTOW) of 209,500 pounds. Did you know it also has the capacity to cover nearby, international trips? Contact us to charter this private jet today. The Boeing 737-200’s spacious interiors have been customized to fit the needs of its private travelers. You can rely on this model to cover nearby, intercontinental destinations. Its area is equivalent to 130 passenger seats. This plane has a luggage capacity of 640 cubic feet, and it has a Maximum Take Off Weight (MTOW) of 115,500 pounds. Contact us to charter this private jet today. This plane model is widely popular for interior customization. Many private jet owners have had their 737-300s tailor-fitted to meet their traveling needs. Its space is equivalent to 149 passenger seats, and it also has a Maximum Take Off Weight (MTOW) of 138,500. The Boeing 737-300 can fly to the nearest intercontinental destinations such as South America or Europe. Contact us to charter this private jet today. The Boeing 737-400 is ideal for combinations of passenger and freight oriented trips. This customized aircraft’s space is equivalent to 170 passenger seats. It also has a luggage capacity of 640 cubic feet. The Boeing 737-400 flies with a Maximum Take Off Weight (MTOW) of 150,000 pounds. Contact us to charter this private jet today. Have the comfiest, short range trips at the Boeing 737-500. This custom plane’s spacious interiors are equivalent to 130 passenger seats. It has a luggage capacity of 640 cubic feet. It can also fly with a Maximum Take Off Weight (MTOW) of 133,500 pounds. Contact us to charter this private jet today. Reach your nearby, intercontinental destination by hopping aboard the private Boeing 737-600. This aircraft’s area is equivalent to 130 passenger seats. It also has a luggage capacity of 640 cubic feet. This plane flies with a Maximum Take Off Weight (MTOW) of 144,500 pounds. Contact us to charter this private jet today. The private Boeing 737-700 is great for spacious and comfy flights. Its interiors are equivalent to 149 passenger seats. This plane also flies with a Maximum Take Off Weight (MTOW) of 133,000 pounds. With a decent 41,000-feet altitude, this plane can also avoid heavy air traffic and maneuver against bad weathers. Contact us to charter this private jet today. Short range flights are made more comfy and luxurious when on board the private Boeing 737-900. This aircraft has a space equivalent to 189 passenger seats. It has a 640-cubic feet luggage capacity. It also brings steady glides as you fly to your nearest regional or intercontinental destination. Contact us to charter this private jet today. The private Boeing 757-300 has been luxuriously customized to make sure you’ll have comfy trips. Its area is equivalent to 250 passenger seats and it has a luggage capacity of 2,500 cubic feet. This private plane flies with a Maximum Take Off Weight (MTOW) of 273,000 pounds. It’s the ideal choice if you’d like to exclusively fly towards your intended, regional or nearby international destination. It even covers short ranged, intercontinental flights! Contact us to charter this private jet today. This plane is ideal for grand, short range flights. Its interiors were customized to bring you comfort and convenience. It has a luggage capacity of 250 cubic feet. This plane also has a Maximum Take Off Weight (MTOW) of 53,000 pounds. Contact us to charter this private jet today. This aircraft is exactly what you need if you’re looking for one with a long fuselage and speedy paces. The CRJ700’s space is equivalent to 78 passenger seats. It also has a 250-cubic feet, luggage capacity. This aircraft flies with a Maximum Take Off Weight (MTOW) of 75,000 pounds. Contact us to charter this private jet today. The CRJ900 has been customized to ensure comfort among its private flyers. It has a space equal to 90 passenger seats, and it accommodates sets of luggage with its 250-cubic feet capacity. The plane also has a Maximum Take Off Weight (MTOW) of 84,500 pounds. This is ideal to book for, if you’re flying to nearby regional or intercontinental destinations. Contact us to charter this private jet today. This plane is quite agile and ideal if you need to fly to or from small airports. It has Short Take Off and Landing (STOL) capacities so you can have more choices of landing and takeoff areas. It even has a spacious 26-seat accommodation for short haul trips. For your guidance, the CASA C-212 flies with a Maximum Take Off Weight (MTOW) of 16,975 pounds. Contact us to charter this private jet today. 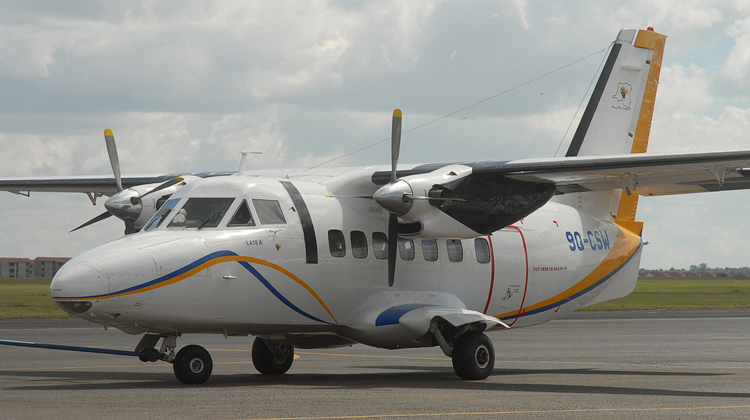 The CASA CN-235 is known for its flexibility and agility. It has interiors which can be adjusted, whether you’ll need to bring your cargo or more passengers will be on board during the trip. It even has Short Take Off and Landing (STOL) capabilities! This means the plane can let you land on smaller airports with shorter runways. It allows up to 46 people per flight and has a Maximum Take Off Weight (MTOW) of 33,290 pounds. Contact us to charter this private jet today. Book for the Cessna 182, if you’re having a sightseeing adventure or flying to an urgent meeting. The classic aircraft can seat up to 4 passengers and it has Short Take Off and Landing (STOL) capacities. This means it can operate on smaller airports and short runways. The Cessna 182 has a Maximum Take Off Weight (MTOW) of 3,100 pounds. Contact us to charter this private jet today. The Cessna 206 is great for sightseeing trips, quick meetings or weekend getaways. It can simply take you to the most breathtaking views, given its apt flying altitude at 15,700 feet. This plane can seat up to 6 people per flight. It also has a Maximum Take Off Weight (MTOW) of 3,300 pounds. Contact us to charter this private jet today. This aircraft has been upgraded in performance while maintaining its low operating costs. It can seat 4 people and it has a 57-cubic feet luggage capacity. The Cessna 510 Mustang also has a Maximum Take Off Weight (MTOW) of 8,645 pounds. This is ideal for regional and nearby international trips. Contact us to charter this private jet today. The Cessna C208 Caravan has a seating capacity of 14 people. This is ideal for short range destinations, and even nearby international trips. Its luggage space is also set at 63 cubic feet. This aircraft flies at a Maximum Take Off Weight (MTOW) of 7,800 pounds. Contact us to charter this private jet today. This aircraft brings comfort during short range flights. It has a Short Take Off and Landing (STOL) capacity, which means it can operate on smaller airports. The C208 Grand Caravan can seat up to 12 passengers and it has a luggage capacity of 31 cubic feet. It flies with a Maximum Take Off Weight (MTOW) of 8,750 pounds. Contact us to charter this private jet today. Have enjoyable, short haul trips on board the Cessna C310. This 5-seat aircraft has a Short Take Off and Landing (STOL) capacity. It also has a luggage capacity of 25 cubic feet. This aircraft flies with a Maximum Take Off Weight (MTOW) of 5,501 pounds. Contact us to charter this private jet today. 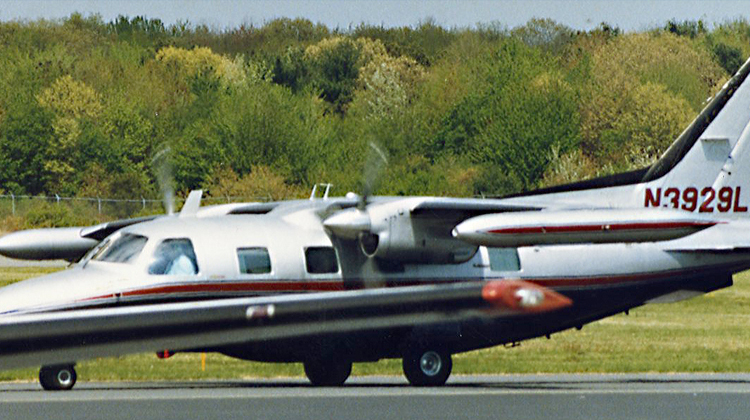 The Cessna C337 lets you avoid lengthy commutes. It’s the ideal short haul aircraft which can seat up to 5 people. The plane even has a 25-cubic feet luggage compartment. If you’re planning up a sightseeing trip soon, it would also be practical to book for this aircraft. Contact us to charter this private jet today. With its Short Take Off and Landing (STOL) capabilities, this plane is agile enough to operate on small airports and short runways. It has a luggage capacity of 24 cubic feet, plus it has a Maximum Take Off Weight (MTOW) of 5,990 pounds. It also has just the applicable level of altitude and speed for sightseeing trips. However if you’re planning to book for this plane for quick meetings, you can still be certain to reach the farthest province in under two hours or even sooner. Contact us to charter this private jet today. The Cessna C401 / C402 / C411 is your practical choice for short range trips which take off from, or fly to small airports. It has a Short Take Off and Landing (STOL) capacity, which means it can operate on shorter runways. This aircraft can seat up to 9 people. It also flies with a Maximum Take Off Weight (MTOW) of 6,850 pounds. Contact us to charter this private jet today. Flying from or to a smaller airport? Then the Cessna C404 Titan can be just the plane you’re looking for. This aircraft can seat up to 10 people. It also has a luggage capacity of 25 cubic feet, and flies with a Maximum Take Off Weight (MTOW) of 8,400 pounds. Contact us to charter this private jet today. This lightweight aircraft was developed with increased performance in mind. 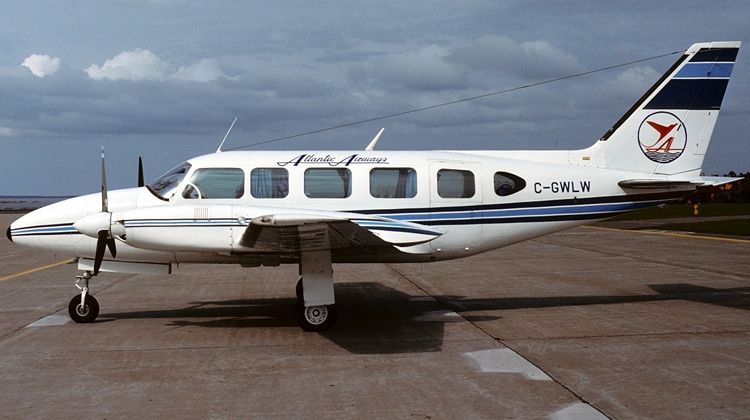 The Cessna C414 Chancellor can seat up to 7 people. It also has a 25-cubic feet luggage compartment. The Chancellor also flies with a Maximum Take Off Weight (MTOW) of 6,750 pounds. Contact us to charter this private jet today. Book the Cessna C421C Golden Eagle if you’re planning up a getaway to a short range or nearby international destination. It’s also practical to reserve if you’re on your way to a quick meeting. This aircraft can seat up to 8 people. It also has a luggage capacity of 25 cubic feet, and it flies with a Maximum Take Off Weight (MTOW) of 7,450 pounds. Contact us to charter this private jet today. For quick meetings and getaways, the Cessna C425 Corsair / Conquest I’s agility can climb above bad weathers for more efficient trips. It has a luggage capacity of 31 cubic feet. This plane also flies with a Maximum Take Off Weight (MTOW) of 8,600 pounds. Its range can also reach regional or nearby, international destinations. Contact us to charter this private jet today. 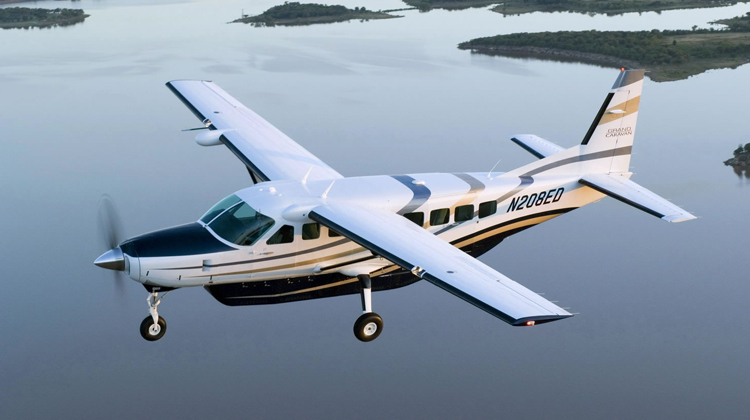 For short range trips, you can book for the comfy and efficient Cessna C425 Corsair / Conquest I. This aircraft can seat up to 10 people. It also has a 25-cubic feet luggage capacity. For your reference, Corsair / Conquest flies with a Maximum Take Off Weight (MTOW) of 9,850 pounds. Contact us to charter this private jet today. Regional trips or nearby, international destinations are much comfier when on board the Cessna C525 Citation. This plane has a luggage capacity of 42 cubic feet. It also flies with a Maximum Take Off Weight (MTOW) of 10,700 pounds. This plane is also known to have one of the fastest speeds around, when it comes to frequent, short haul trips. Contact us to charter this private jet today. The Cessna C525 Citation CJ1 offers comfy flights within short range destinations. This convenient, 6-seater has a 65-cubic feet luggage capacity. It also flies with a Maximum Take Off Weight of 10,600 pounds. Upon taking off, this aircraft can also reach its highest altitude at 45,000 feet in less than 20 minutes. Contact us to charter this private jet today. This short haul aircraft was built to have a stretched cabin for more space. It can seat up to 6 people and it has a luggage capacity of 65 cubic feet. The Citation CJ2 also has a Maximum Take Off Weight (MTOW) of 12,500 pounds. Upon take off, the plane can reach its highest altitude at 45,000 feet in less than 15 minutes. This just the aircraft you’ll need for quick trips to regional and nearby, international destinations. Contact us to charter this private jet today. 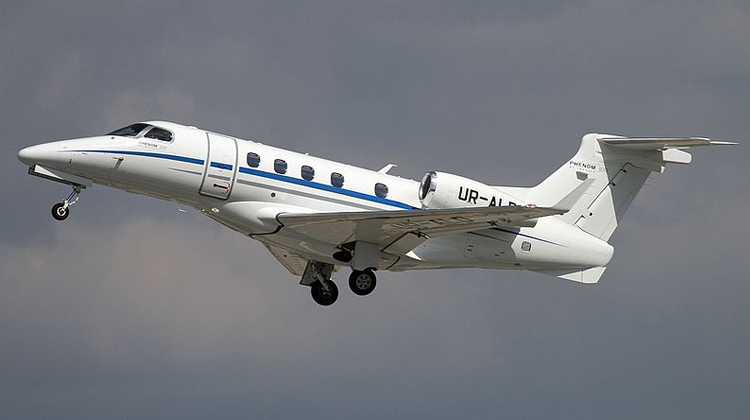 The Citation CJ3 is considered as a popular choice among high-performing jets. It can seat up to 6 people and it has a luggage capacity of 74 cubic feet. This plane also flies with a Maximum Take Off Weight (MTOW) of 13,870 pounds. This short haul plane can also fly to nearby international locations. Contact us to charter this private jet today. This plane was built with additional cabin space, speed and range. It’s just the practical, short-haul aircraft for you if you’ll also be flying to nearby, international destinations. It can seat up to 7 people and it has a luggage capacity of 65 cubic feet. This aircraft also has a Maximum Take Off Weight (MTOW) of 17,110 pounds. Contact us to charter this private jet today. 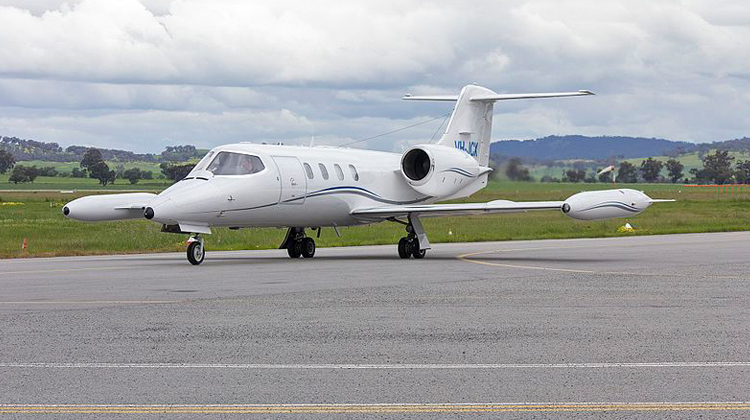 This Very Light Jet (VLJ) is just ideal for short haul flights, to regional or nearby international destinations. It can seat up to 7 passengers, plus it has a luggage capacity of 74 cubic feet. This plane also has a Maximum Take Off Weight (MTOW) of 14,800 pounds. When it flies from the ground, the Citation Bravo can reach its maximum altitude at 43,000 feet in less than 15 minutes. Contact us to charter this private jet today. This private jet brings performance and comfort to the skies. It seats up to 7 people and it has a 74 cubic feet luggage capacity. The C550 also has a Maximum Take Off Weight (MTOW) of 14,800 pounds. This short haul jet can also fly to nearby, intercontinental destinations such as Dublin if you’re coming from Toronto. Contact us to charter this private jet today. 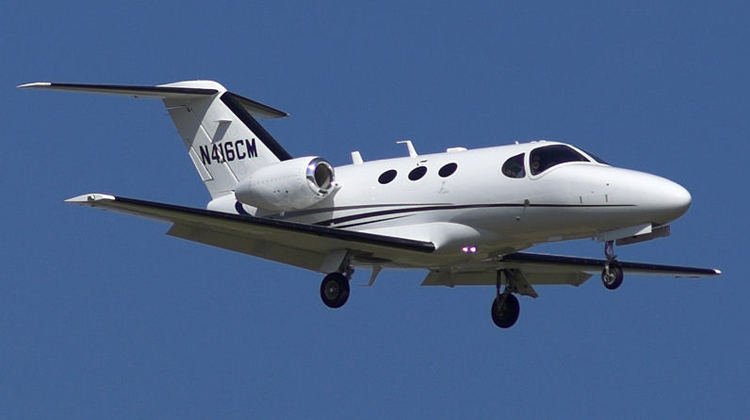 The Citation Encore has Short Take Off and Landing (STOL) capabilities. This means it can fly to smaller airports with shorter runways. The plane can seat up to 7 people and it has a luggage capacity of 67 cubic feet. For your reference, it has a Maximum Take Off Weight (MTOW) of 16,630 pounds. Contact us to charter this private jet today. This aircraft is great for nearby, intercontinental flights. It can seat up to 19 passengers, and it has a luggage capacity of 169 cubic feet. This plane also has a Maximum Take OffWeight (MTOW) of 73,200 pounds. It has the facilities you’ll need to have a comfortable flight. Know more about its amenities by asking our flight experts. Contact us to charter this private jet today. This reliable classic is mostly booked for short haul flights and even trips to nearby, international destinations. It can seat up to 5 people. The plane also flies with a Maximum Take Off Weight (MTOW) of 11,850 pounds. To fully enjoy your trip aboard this private jet, it’s best to confirm about its facilities with our experts. Contact us to charter this private jet today. This aircraft’s cabins have been updated to increase comfort for its passengers. It can seat up to 7 people and it has a luggage capacity of 46 cubic feet. This plane flies at a Maximum Take Off Weight (MTOW) of 10,700 pounds. As it takes off, the Citation M2 can reach its highest altitude at 41,000 feet in less than 15 minutes. Contact us to charter this private jet today. The short haul, Caravan II has Short Take Off and Landing (STOL) capacities. This means it can operate on small airports with short runways. The aircraft can seat up to 12 people and it has a luggage capacity of 31 cubic feet. It also flies with a Maximum Take Off Weight (MTOW) of 9,850 pounds. Contact us to charter this private jet today. Take on nearby, regional and international routes aboard the Crusader. The short haul plane can seat up to 5 people. It also has a luggage capacity of 25 cubic feet. This plane flies with a Maximum Take Off Weight (MTOW) of 5,150 pounds. Did you know it can turn 8-hour drives to 1-hour flights? Contact us to charter this private jet today. The Challenger 300 has comfy cabins so you’ll have enjoyable trips to nearby continents. If you’re flying from Toronto, this plane can fly to Portugal or United Kingdom. It can seat a maximum of 8 people per trip. It also has a luggage capacity of 115 cubic feet and it flies with a Maximum Take Off Weight (MTOW) of 38,850 pounds. Contact us to charter this private jet today. Bombardier’s Challenger 600 has more cabin space than most short haul jets, ensuring you’ll have a comfy flight each time you book for it. This aircraft can seat up to 10 people. It also has a luggage capacity of 115 cubic feet. 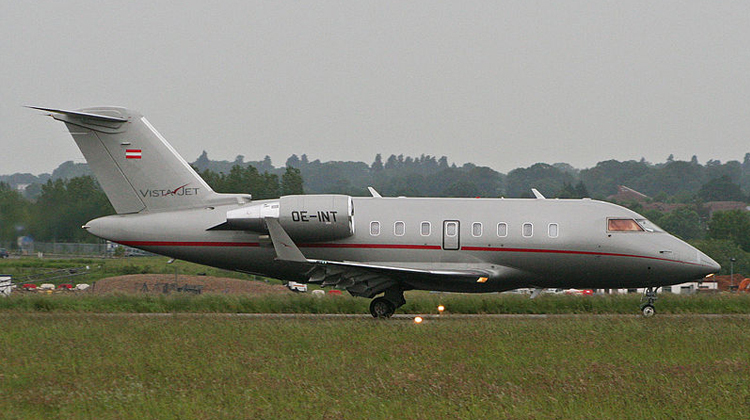 The Challenger 600 flies at a Maximum Take Off Weight (MTOW) of 45,100 pounds. It also has the best climbing rate at 3,000 feet per minute. This means upon take off, the plane can reach its highest altitude at 41,000 feet in less than 15 minutes. Contact us to charter this private jet today. The Challenger 601 brings passenger comfort and flying efficiency with its drag-reducing winglets. This plane can seat up to 13 people and it has a luggage capacity of 115 cubic feet. It also flies with a Maximum Take Off Weight (MTOW) of 45,100 pounds. This aircraft can also fly as far as the nearest intercontinental locations. Contact us to charter this private jet today. This plane has spacious interiors and it’s great for in-flight meetings. 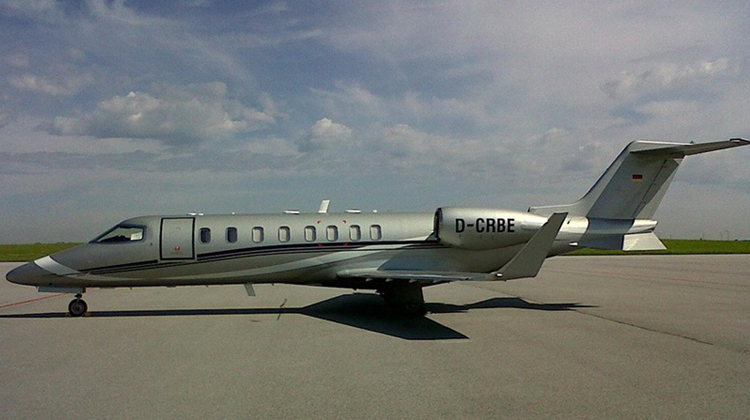 This private jet can also be booked for European vacations such as in Czech Republic, Finland or Switzerland. It can seat up to 13 people and it has a luggage capacity of 250 cubic feet. Upon taking off, this jet can also reach its maximum altitude at 41,000 feet in less than 20 minutes. Contact us to charter this private jet today. Known for its spaciousness and flying performance, the Challenger 890 has the capacity to reach the nearest international destinations. This plane can seat up to 16 people. It also has a luggage capacity of 250 cubic feet. It also flies with a Maximum Take Off Weight (MTOW) of 53,000 pounds. Contact us to charter this private jet today. The Cirrus aircraft is best to book for short haul destinations. This plane can seat up to 3 people. If you’re up for a sightseeing trip, Cirrus would also be great to reserve. It can fly to regional and the nearest international destinations. Contact us to charter this private jet today. The Citation III has comfy interiors and it can seat up to 8 passengers. It has a luggage capacity of 57 cubic feet and it flies with a Maximum Take Off Weight (MTOW) of 21,500 pounds. This plane can fly to the nearest international locations, like Mexico City, Mexico is you’re coming from Toronto. Upon taking off, the aircraft can fly to its highest altitude at 51,000 feet in less than 15 minutes. Contact us to charter this private jet today. Cessna’s Citation Latitude is known to have one of the spacious cabins among other mid-sized jets for short haul destinations. This aircraft can seat up to 11 people. It also has a luggage capacity of 90 cubic feet. It also flies with a Maximum Take Off Weight (MTOW) 30,800 pounds. Contact us to charter this private jet today. This plane brings comfort for passengers traveling to regional and nearby, international destinations. It can seat up to 8 people. It also has a luggage capacity of 100 cubic feet, and it flies with a Maximum Take Off Weight (MTOW) of 30,300 pounds. If you’re coming from Toronto, the aircraft can fly you to as far as Ecuador or Alaska, USA. Contact us to charter this private jet today. This aircraft is your practical choice if you prefer comfort and efficiency during private flights. The Citation Ultra can seat up to 7 people. It also has a luggage capacity of 67 cubic feet and Maximum Take Off Weight (MTOW) of 16,630 pounds. Upon taking off, it can fly to its highest altitude at 45,000 feet in less than 15 minutes. Contact us to charter this private jet today. The Citation VI combines comfort, performance and reliability for short haul trips. This aircraft seats up to 8 people. It also has a luggage capacity of 57 cubic feet and it flies with a Maximum Take Off Weight (MTOW) of 21,500 pounds. With a maximum attitude of 51,000 feet, this plane can avoid unfavorable weathers and busy air traffic. Contact us to charter this private jet today. 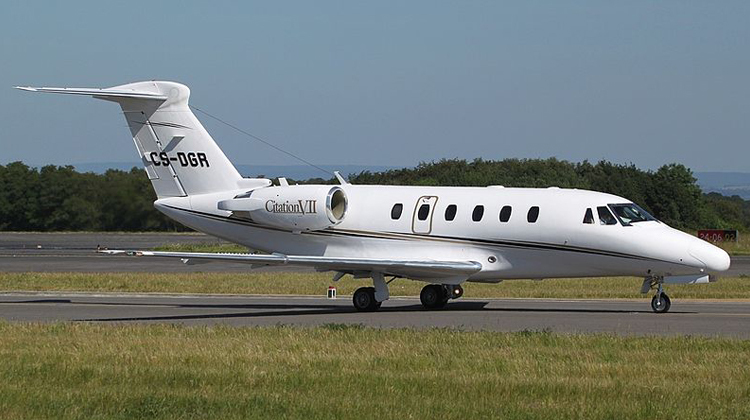 It’s best to book for the Citation VII if you’re up for a luxurious experience on short range trips. This aircraft can seat up to 8 people. It also has a luggage capacity of 57 cubic feet. The aircraft flies with a Maximum Take Off Weight (MTOW) of 23,000 pounds. Contact us to charter this private jet today. Along with its spacious cabins, the Citation XL provides a considerable, external luggage capacity at 80 cubic feet. It can also seat up to 10 people. This aircraft flies at a Maximum Take Off Weight (MTOW) of 20,200 pounds. Upon taking off, the aircraft can reach its highest altitude at 45,000 feet in less than 15 minutes. Contact us to charter this private jet today. This aircraft has comfy, light cabins to provide relaxing flights for short haul passengers. It can also operate even in small airports. The Citation XLS has a luggage capacity of 90 cubic feet and it flies with a Maximum Take Off Weight (MTOW) of 20,200 pounds. Did you know it can also fly as far as the nearest international destinations? Contact us to charter this private jet today. The Citation XLS+ promises to bring cabin comfort to its private passengers. It seats up to 9 people and it has a luggage capacity of 90 cubic feet. This aircraft flies with a Maximum Take Off Weight (MTOW) of 20,200 pounds. This would also be practical to book if you’re flying to nearby, international locations. Contact us to charter this private jet today. For short haul trips, it’s best to book for the Commander 500. This aircraft can seat up to 8 people and it has a luggage capacity of 32 cubic feet. It also has a Maximum Take Off Weight (MTOW) of 6,750 pounds. 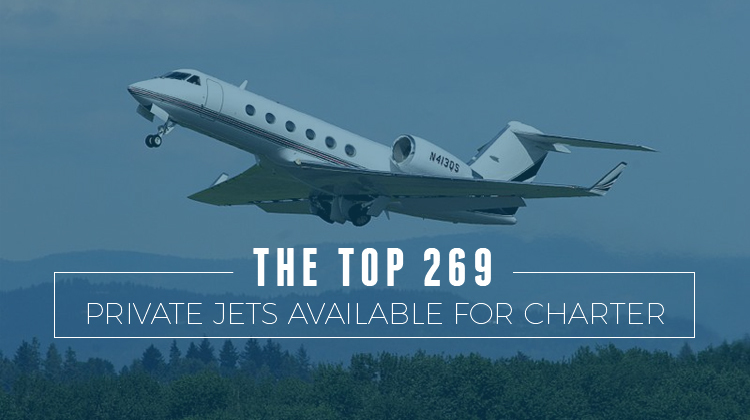 It’s the jet to reserve if you’re planning to have quick getaways or sightseeing trips. Contact us to charter this private jet today. For spacious and, short range trips, it’s best to charter for the Douglas DC3. Its cabin is equivalent to 32 passenger seats. It also has a luggage capacity of 465 cubic feet. This aircraft flies with a Maximum Take Off Weight (MTOW) of 28,000 pounds. Contact us to charter this private jet today. This spacious aircraft is best for quick trips. Its cabins are equivalent to 20 passenger seats. It also has a luggage capacity of 321 cubic feet. The Twin Otter flies at an approximate takeoff weight of 12,000 pounds. Contact us to charter this private jet today. The DHC-7 is best to book for short range trips. This plane reaches regional and nearby, international destinations. Its cabins are equivalent to 54 passenger seats. It also has a Maximum Take Off Weight (MTOW) of 44,000 pounds. Contact us to charter this private jet today. 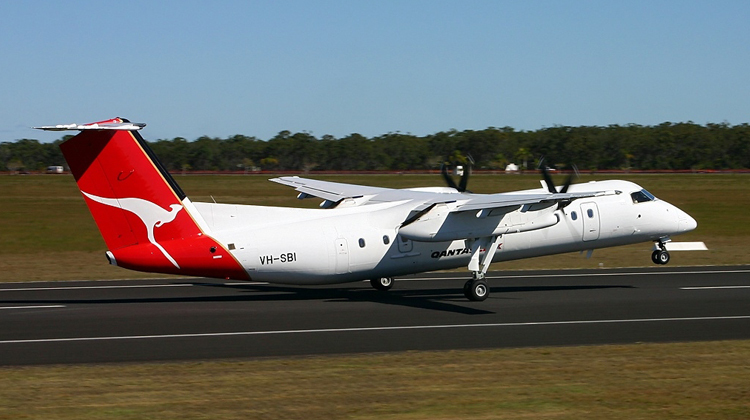 The DHC-8 100/200 has a Short Take Off and Landing (STOL) capacity. This means it can operate on small airports and short runways. The aircraft’s space is equivalent to 40 passenger seats. It also has a luggage capacity of 321 cubic feet, and it flies with a Maximum Take Off Weight (MTOW) of 36,300 pounds. Contact us to charter this private jet today. This aircraft is great for regional and nearby international flights. It also has a Short Take Off and Landing (STOL) capacity. The DHC-8 300 has a space equivalent to 56 passenger seats. It has a luggage capacity of 321 cubic feet, and it flies with a Maximum Take Off Weight (MTOW) of 41,000 pounds. Contact us to charter this private jet today. Go for spacious trips aboard the DHC-8 400. This plane has a space equivalent to 78 passengers. It can operate on small airports with short runways, with its Short Take Off and Landing (STOL) capacity. This aircraft has a 501-cubic feet luggage capacity and it has a Maximum Take Off Weight (MTOW) of 65,200 pounds. Contact us to charter this private jet today. Sightseeing trips and quick meetings are best when on board the De Havilland Dove. This aircraft can seat up to 8 people. It also flies with a Maximum Take Off Weight (MTOW) of 8,950 pounds. The De Havilland Dove can reach as far as the nearest international destinations, such as Texas, USA if you’re coming from Toronto, Canada. Contact us to charter this private jet today. The Diamond Twin Star has the agility for short haul trips. This 4-seat plane has Short Take Off and Landing (STOL) capacities. This means it can operate on small airports with short runways. The aircraft has a 2-cubic feet luggage capacity. Contact us to charter this private jet today. This aircraft is enjoyable to book for short haul trips. It can seat up to 3 people. The D-Jet also has a luggage capacity of 15 cubic feet. It also flies with a Maximum Take Off Weight (MTOW) of 4,750 pounds. The aircraft can fly to regional destinations. Contact us to charter this private jet today. The Dornier 228 is one rugged plane which can operate on short runways. This plane has a Maximum Take Off Weight (MTOW) of 14,110 pounds. It can also be booked for quick meetings and weekend getaways. This aircraft can seat up to 19 passengers. Contact us to charter this private jet today. This plane has the agility to operate on small airports and short runways. 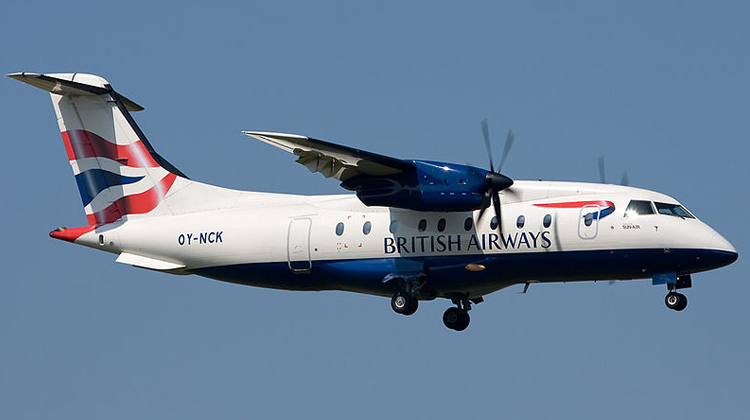 The Dornier 328’s space is equivalent to 34 passengers. It also has a luggage capacity of 222 cubic feet, and it flies with a Maximum Take Off Weight (MTOW) of 35,524 pounds. This aircraft can fly to the nearest international locations, such as Kansas, USA if you’re coming from Toronto, Canada. Contact us to charter this private jet today. Fly to regional or the nearest international destination on board the Dornier 328Jet. This plane has a space equivalent to 34 passenger seats. It has a luggage capacity of 222 cubic feet. It also flies with a Maximum Take Off Weight (MTOW) of 34,524 pounds. Contact us to charter this private jet today. The Dornier Do28 has Short Take Off and Landing (STOL) capacities. This means it can operate on small airports and short runways. This plane can seat up to 12 people. It also has a Maximum Take Off Weight (MTOW) of 5,984 pounds. Contact us to charter this private jet today. This aircraft is quite spacious and it can seat up to 16 passengers per flight. The Dornier Executive 328JET has a luggage capacity of 252-cubic feet. It also flies with a Maximum Take Off Weight (MTOW) of 34,524 pounds. If you’re coming from Toronto, the 328JET lets you fly to the nearest international destination. Contact us to charter this private jet today. 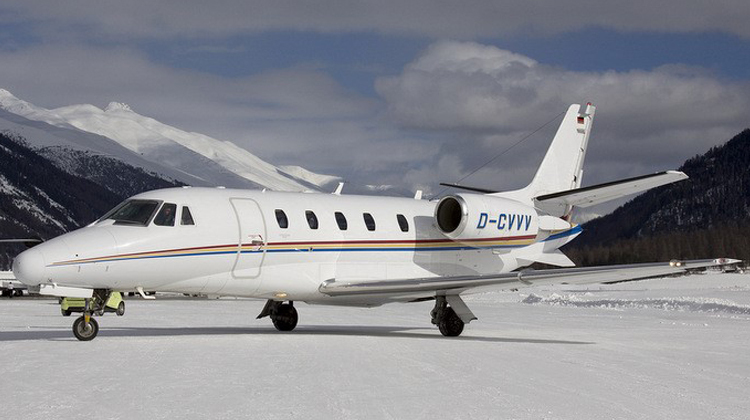 This Very Light Jet (VLJ) can seat up to 5 people per flight. The aircraft has a luggage capacity of 40 cubic feet. Eclipse 500’s Maximum Take Off Weight (MTOW) is at 5,950 pounds. It can fly as far as Kansas, USA if you’re coming from Toronto, Canada. Contact us to charter this private jet today. This short haul aircraft’s spacious cabin is equivalent to 21 passenger seats. It also has a luggage capacity of 226 cubic feet. This plane flies at a Maximum Take Off Weight (MTOW) of 12,500 pounds. It can also reach as far as Texas, USA if you’re flying from Toronto, Canada. Contact us to charter this private jet today. The EMB 120 Brasilia is a spacious aircraft with an area equal to 30 passenger seats. It also has a luggage capacity of 226 cubic feet. This plane flies with a Maximum Take Off Weight (MTOW) of 26,433 pounds. The EMB 120 Brasilia can also travel to the nearest international destination. Contact us to charter this private jet today. This aircraft can take on short haul flights, as it seats up to 9 people. It also has a Maximum Take Off Weight (MTOW) of 12,500 pounds. It would be practical to book this plane for quick meetings and getaways. This flies as far as Havana, Cuba if you’re coming from Toronto, Canada. Contact us to charter this private jet today. Book the Embraer’s EMB 135, if you’d want to reach your short haul destinations fast. This customized aircraft’s space is equivalent to 35 passenger seats. It also has a baggage capacity of 240 cubic feet. For your guidance, the EMB 135 flies with a Maximum Take Off Weight (MTOW) of 41,888 pounds. Contact us to charter this private jet today. 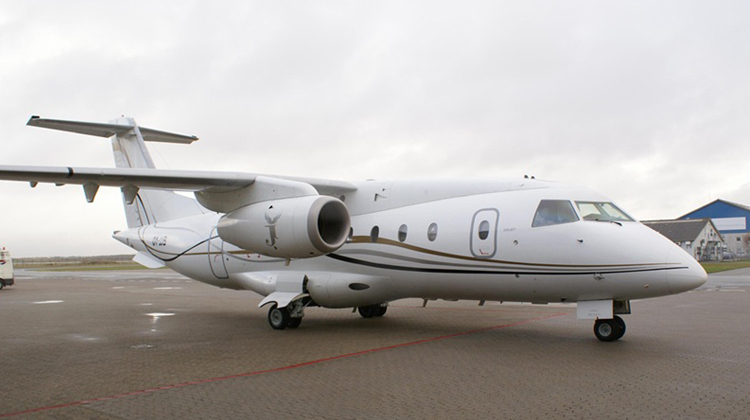 The EMB 145 brings luxurious experiences for its private flyers. This short haul aircraft has a luggage capacity of 226 feet. It also flies with a Maximum Take Off Weight (MTOW) of 48,500 pounds. It can also reach as far as the Dominican Republic if you’re coming from Toronto, Canada. Contact us to charter this private jet today. Known for its spacious cabins, the customized EMB 170 is best for you to have the most relaxing trip to a short haul destination. Its space is equivalent to 70 passenger seats and it has a luggage capacity of 226 cubic feet. This aircraft flies with a Maximum Take Off Weight (MTOW) of 79,340 pounds. It can also reach the nearest international destination, like Washington, USA if you’re flying from Toronto, Canada. Contact us to charter this private jet today. Embraer’s EMB 175 has one of the most spacious interiors with an area equivalent to 78 passenger seats. It has a luggage capacity of 226 cubic meters. This also flies with a Maximum Take Off Weight (MTOW) of 85,517 pounds. The aircraft can fly as far as Washington, USA or Mexico if you’re coming from Ontario, Canada. Contact us to charter this private jet today. The EMB 190 is a short haul plane which has a space equivalent to 98 passenger seats. It has a luggage capacity of 226 cubic feet. The aircraft also has a Maximum Take Off Weight (MTOW) of 11,000 pounds. This plane flies with a decent altitude to lessen busy air traffic and bad weathers. Contact us to charter this private jet today. For spacious and luxurious, short range trips, it’s best to book for the customized EMB 195. Its area is equivalent to 108 passenger seats. It also has a luggage capacity of 226 cubic feet. This aircraft approximately flies with a take off weight of 111,000 pounds. Contact us to charter this private jet today. This aircraft is known for its performance and cabin comfort. It can seat up to 4 people per flight. This plane also has a luggage capacity of 67 cubic feet. It also flies with a Maximum Take Off Weight (MTOW) of 10,582 pounds. Contact us to charter this private jet today. The Phenom 300 can seat up to 7 people. It has a luggage capacity of 79 cubic feet. This aircraft flies with a Maximum Take Off Weight (MTOW) of 17,968 pounds. If you’re coming from Toronto, this jet can take you to as far as Mexico City. Contact us to charter this private jet today. This aircraft brings sturdy rides to short range destinations. It can seat up to 7 people and it has a luggage capacity of 49 cubic feet. The plane also has a Maximum Take Off Weight (MTOW) of 18,739 pounds. This would also be practical to book for regional and nearby international flights. Contact us to charter this private jet today. The Falcon 20 / 200 is a 9 seat plane which can fly to regional or nearby, international destinations. This aircraft also flies with a Maximum Take Off Weight (MTOW) of 28,660 pounds. The plane has a decent flying altitude at 42,000 feet. Hence, it can avoid busy air traffic and bad weathers. Contact us to charter this private jet today. This aircraft can fly to intercontinental destinations such as Dublin, Ireland if you’re coming from Ontario, Canada. It can fly up to 12 passengers, and has a luggage capacity of 134 cubic feet. This also flies with a Maximum Take Off Weight (MTOW) of 41,000 pounds. The Falcon 2000DX would be great to charter for business conferences or European vacations. Contact us to charter this private jet today. The Falcon 50 / 50EX has a good balance of range and speed. It can also operate on small airports with short runways. This plane can seat up to 9 passengers and it has a luggage capacity of 115 cubic feet. The Falcon also flies with a Maximum Take Off Weight (MTOW) of 39,700 pounds. Contact us to charter this private jet today. Luxury and spaciousness are possible when you’re aboard the private Fokker F100. This customized aircraft has an area equivalent to 109 passenger seats, and it has the complete facilities you’ll need for short range trips. It also has a Maximum Take Off Weight (MTOW) of 101,000 pounds. Contact us to charter this private jet today. The cozy Fokker F27 has a space equal to 60 seats. It has been customized to meet your needs during short range trips. These may include a galley for food and drinks, plus a lavatory. This plane also flies with a Maximum Take Off Weight (MTOW) of 43,590 pounds. Contact us to charter this private jet today. This aircraft is best for flights to regional or nearby, international destinations. Its space is equal to 85 passenger seats. It can also fly with a Maximum Take Off Weight (MTOW) of 73,000 pounds. For more enjoyable trips, it’s best to inquire about the customized F28’s facilities with our flight specialists. Contact us to charter this private jet today. There’s no need to squeeze yourself into a seat, when you can recline and stretch out your legs inside the F50’s cabins. This aircraft’s space is equivalent to 58 passenger seats. It also flies with a Maximum Take Off Weight (MTOW) of 43,980 pounds. It also offers steady glides with a 240-knot speed and a maximum altitude of 25,000 feet. Contact us to charter this private jet today. This spacious aircraft is best for regional and nearby intercontinental trips. It has a space equivalent to 79 passenger seats. The F70 has a Maximum Take Off Weight (MTOW) of 87,998 pounds. With an approximate climb rate of 3,000 feet per minute, it can reach its highest altitude at 36,089 feet in just less than 15 minutes. Contact us to charter this private jet today. The G100/150 Astra is great for intercontinental getaways and regional conferences. This 8-seat plane has a luggage capacity of 80 cubic feet. It also has a Maximum Take Off Weight (MTOW) of 24,650 pounds. The aircraft has a competitive flying pace as it can reach its highest altitude at 45,000 feet in 15 minutes or even less. Contact us to charter this private jet today. For quick meetings, sightseeing tours or weekend getaways, you have the GA-7 Cougar to book for. This 4-seat, short haul aircraft has Short Take Off and Landing (STOL) capabilities. This means it can operate even on small airports and short runways. The Cougar also flies at a Maximum Take Off Weight (MTOW) of 3,800 pounds. Contact us to charter this private jet today. The 8-seat Airvan has the Short Take Off and Landing (STOL) capabilities you’ll need, to fly to or from small airports. For your guidance, it also has a Maximum Take Off Weight (MTOW) of 3,999 pounds. It’s best to confirm the aircraft’s allowable number of passengers and amount of carry-on bags for your safety. All in all, this aircraft is just what you’ll need for quick meetings and getaways. Contact us to charter this private jet today. The amphibious Grumman G-21 Goose can fly off the ground, and land on water. This aircraft can seat up to 6 people. It also flies with a Maximum Take Off Weight (MTOW) of 12,500 pounds. If you’re planning to have a sightseeing adventure in sites which have bodies of water, this aircraft would be great to charter for. Contact us to charter this private jet today. This corporate jet brings steady glides to your short range trip. It even has spacious interiors to fit up to 38 people per flight. However, its customized version may have lesser seats for more space and to make room for additional facilities. 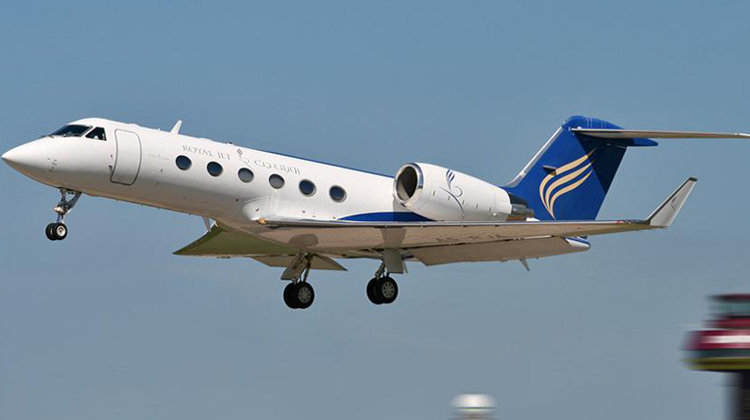 The Gulfstream G1 has a luggage capacity of 150 cubic feet. For your guidance, also has a Maximum Take Off Weight (MTOW) of 35,100 pounds. This aircraft can reach regional and nearby international destinations. Contact us to charter this private jet today. The Hawker 4000 is known to have one of the quietest cabins among short hauled, business jets. It can seat up to 9 people and it has a luggage capacity of 114 cubic feet. This aircraft has a Maximum Take Off Weight (MTOW) of 37,500 pounds. Its highest altitude of 45,000 feet lets you see less of bad weathers in the skies and busy air traffics. Contact us to charter this private jet today. For a small jet, the 400XP sure has spacious cabins with an area equivalent to 10 passenger seats. This aircraft’s luggage capacity is set at 46 cubic feet. It also has a Maximum Take Off Weight (MTOW) of 16,100 pounds. The Hawker 400XP can also fly to the nearest regional and intercontinental destinations. Contact us to charter this private jet today. The 8-seat, Hawker 600 has comfy interiors for passengers to have relaxing, short haul flights. This aircraft has a luggage capacity of 40 cubic feet. It additionally flies with a Maximum Take Off Weight (MTOW) of 25,000 pounds. Its steady speeds can also take you to regional destinations and even nearby, international locations. Contact us to charter this private jet today. This plane has comfy interiors with seats which can be reclined. It can fly up to 8 people to regional or nearby, international flights. The Hawker 700/750 also has a luggage capacity of 40 cubic feet. This can fly with a Maximum Take Off Weight (MTOW) of 26,950 pounds. With steady speeds reaching up to 402 knots, it can fly up to 39,360 feet in roughly just 20 minutes upon takeoff. Contact us to charter this private jet today. The Hawker 800/800XP has quiet and spacious cabins which are fit for meetings, or cozy trips to regional or nearby international destinations. It can seat up to 8 people and it has a luggage capacity of 48 cubic feet. This plane has a Maximum Take Off Weight (MTOW) of 28,000 pounds. To make the most of your flight, do ask about its facilities with our flight experts today. Contact us to charter this private jet today. This aircraft can seat up to 11 people. It has a luggage capacity of 49 cubic feet, and flies with a Maximum Take Off Weight (MTOW) of 28,000 pounds. Its facilities are complete and apt for short haul flights. Aside from regional flights, it can also reach international destinations. Contact us to charter this private jet today. The sleek HondaJet is every business flyer’s ally to reach short haul destinations. This aircraft can seat up to 4 people and it has a luggage capacity of 66 cubic feet. It’s also great to book for nearby, intercontinental vacations. This also flies with a Maximum Take Off Weight (MTOW) of 10,600 pounds. Contact us to charter this private jet today. The Ilyushin IL86 is quite a spacious aircraft, with customized interiors which are equivalent to 280 passenger seats. It also flies with a Maximum Take Off Weight (MTOW) of 458,561 pounds. If you’re flying with a combination of passengers and cargo in mind, this would be the aircraft for you to book for. It even operates in fast paces at 512 knots, compared to other 450-knot planes. Contact us to charter this private jet today. This plane has spacious interiors which can seat up to 9 passengers. It has a luggage capacity of 50 cubic feet and it flies with a Maximum Take Off Weight (MTOW) of 44,000 pounds. This short haul aircraft can reach nearby international destinations. It can also fly up to 43,000 feet within less than 15 minutes upon takeoff. This shows how fast the aircraft can go. Contact us to charter this private jet today. The Jetstream 31 / 32 has comfy interiors which can seat up to 19 people. It has a luggage capacity of 65 cubic feet. This plane can approximately fly at 15,000 pounds. It can fly to regional and nearby, international destinations like Missouri, USA if you’re coming from Ontario, Canada. Contact us to charter this private jet today. This aircraft has the interiors and facilities you’ll need to have comfy short flights. The Jetstream 41 includes a luggage capacity of 170 cubic feet. It flies with a Maximum Take Off Weight (MTOW) of 24,000 pounds. This customized aircraft may have club layout seats and a refreshment area. To make the most of your trip, it’s best to confirm its facilities with our flight specialists. Contact us to charter this private jet today. 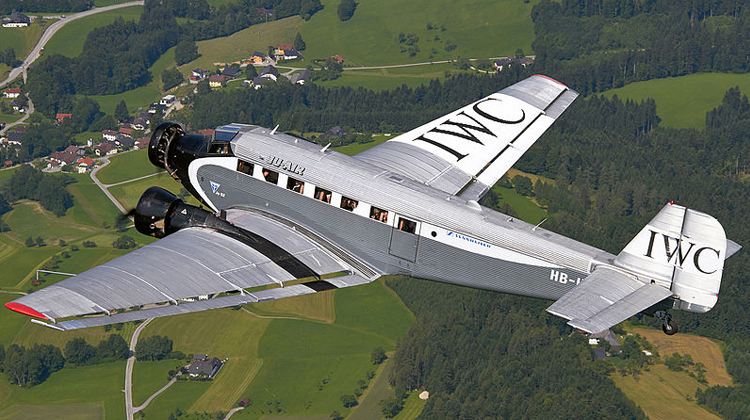 The Ju-52’s space is equivalent to 17 passenger seats. This plane allows you to bring your luggage in the cabin. It’s however best to confirm its in-house luggage compartments with the operator or our flight specialist. It approximately has a takeoff weight of 19,993 pounds. Contact us to charter this private jet today. The speedy Learjet 24 / 25 has comfy interiors which can seat up to 6 people. It has a luggage capacity of 42 cubic feet. This plane approximately has 13,500 to 15,000 pounds. This private jet has one of the fastest speeds within the short haul category. Upon take off, it can fly up to its highest altitude at 45,000 feet in less than 10 minutes. Contact us to charter this private jet today. The Learjet 31 is known to have much roomier interiors than most short haul planes. This plane can accommodate 7 passengers per trip. It has a luggage capacity of 40 cubic feet and it has a Maximum Take Off Weight (MTOW) of 15,500 pounds. This aircraft has a high altitude of 51,000 feet, making it able to avoid bad weathers and lessen instances of busy air traffics. Contact us to charter this private jet today. This aircraft is great for regional conferences and intercontinental vacations. It can also seat up to 8 people per flight. The Learjet 35A has a luggage capacity of 40 cubic feet, and it flies with a Maximum Take Off Weight (MTOW) of 18,000 pounds. If you’re coming from Ontario, Canada, the Learjet 35A can fly you to as far as Guadalupe or El Salvador. Contact us to charter this private jet today. Regional trips are great when you’re on board the private Learjet 36A. This plane can accommodate up to 8 people in every trip. It also has a luggage capacity of 40 cubic feet. For your reference, the aircraft has a Maximum Take Off Weight (MTOW) of 18,300 pounds. Contact us to charter this private jet today. Fly to short range destinations, aboard the Learjet 40 / 40XR. This aircraft can seat up to 6 people. It also has a luggage capacity of 55 cubic feet. The Learjet 40 / 40XR also flies with a Maximum Take Off Weight (MTOW) of 21,000 pounds. At 51,000 feet, did you know it has one of the highest, maximum altitudes among other short haul planes? Contact us to charter this private jet today. The Learjet 45 / 45XR can travel to regional or nearby intercontinental destinations. It can seat up to 8 people and it has a luggage capacity of 66 cubic feet. The aircraft also flies with a Maximum Take Off Weight (MTOW) of 20,200 pounds. 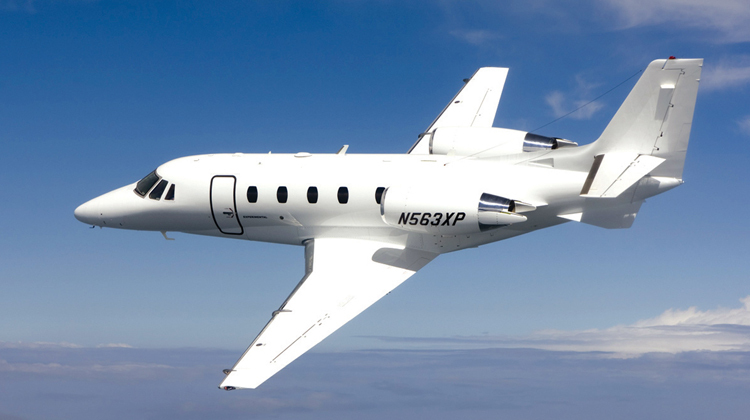 As part of Learjet’s line of private jets, the 45 / 45XR also has a high maximum altitude of 51,000 feet. Thus when on board this plane, you’ll have the capacity to avoid bad weather and busy air traffics. Contact us to charter this private jet today. This plane is among Learjet’s series of fast flying planes. It can seat up to 7 people and it has a luggage capacity of 60 cubic feet. The Learjet 55 has a Maximum Take Off Weight (MTOW) of 21,500 pounds. It has a 447-knot speed, plus it can fly at an altitude of 51,000 feet. Its highest altitude lets you avoid challenging weathers and air traffic. Contact us to charter this private jet today. The Learjet 60 has comfy combinations of passenger seats and divans. It can accommodate 7 people and it has a luggage capacity of 59 cubic feet. For your guidance, the aircraft has a Maximum Take Off Weight (MTOW) of 23,500 pounds. It’s in keeping with Learjet’s series of high-flying jets which reach an altitude of 51,000 feet. Contact us to charter this private jet today. This sleek aircraft is great for nearby intercontinental vacations. It has a seating capacity of 6 with an allowance for luggage at 15 cubic feet. It also flies with a Maximum Take Off Weight of 21,500 pounds. The Learjet 75 can also flyt at a maximum altitude of 51,000 feet. Contact us to charter this private jet today. The Legacy 450 is an 8-seat aircraft which has a luggage capacity of 150 cubic feet. It also flies with a Maximum Take Off Weight (MTOW) of 35,274 pounds. Did you now it has a Short Take Off and Landing (STOL) capacity? This means it can operate even on small airports with short runways. Contact us to charter this private jet today. This aircraft has spacious cabins, and it can seat up to 12 people. It also has a Short Take Off and Landing (STOL) capacity, so it can operate on small airports and runways. The Legacy 500 has a luggage capacity of 110 cubic feet and it flies at a Maximum Take Off Weight (MTOW) of 38,360 pounds. The aircraft can fly to the nearest intercontinental destinations. Contact us to charter this private jet today. If you’re coming from Ontario, Canada, intercontinental destinations like Paris, Netherlands or Portugal are best reached on the Legacy 600 Executive. This plane can seat up to 13 people and it has a luggage capacity of 240 cubic feet. It also has a Maximum Take Off Weight (MTOW) of 49,604 pounds. To make the most of your upcoming trip, it’s best to confirm its facilities with our flight specialists today. Contact us to charter this private jet today. This spacious aircraft’s area can accommodate up to 919 people. It also has a luggage capacity of 632 cubic feet. This plane is best for short haul destinations. It’s great for weekend getaways, sightseeing trips or quick meetings. Contact us to charter this private jet today. The Let-410 has quite a space to fit up to 19 people in every flight. It has been customized to fit the needs of its private flyers. This plane has a Maximum Take Off Weight (MTOW) of 14,550 pounds. It’s great to book for coast-to-coast flights. Contact us to charter this private jet today. Grumman’s Mallard has a space which can seat up to 12 passengers. This aircraft is amphibious thus it can fly from runways and land on water. It flies with a Maximum Take Off Weight (MTOW) of 14,000 pounds. If you’re flying from Toronto, Canada, this plane lets you reach as far as Texas or Quebec. Contact us to charter this private jet today. For spacious and relaxing flights, it’s always best to book for the DC9-30. This private aircraft usually seats 26 people, while it has an area that’s equivalent to 115 passenger seats. It flies with a Maximum Take Off Weight (MTOW) of 108,000 pounds. This aircraft’s longest range can reach regional and even nearby, continental destinations. Contact us to charter this private jet today. This aircraft can best be booked if a combination of passengers and cargo will be flying to short haul destinations. It has a luggage capacity of 1,174 cubic feet. The DC9-50 also has a Maximum Take Off Weight (MTOW) of 121,000 pounds. The plane also lets you fly to nearby, intercontinental locations. Contact us to charter this private jet today. The MD82 brings comfy experiences during short haul flights. This aircraft has a luggage capacity of 900 cubic feet. It also flies with a Maximum Take Off Weight (MTOW) of 149,500 pounds. To make the most of your upcoming trip, it’s best to inquire about its facilities with our flight experts. Contact us to charter this private jet today. This plane has spacious cabins with an area equivalent to 172 passenger seats. The aircraft’s luxury version usually accommodates 40 people. It has a luggage capacity of 900 cubic feet. The MD83 can also take on nearby, international flights. Contact us to charter this private jet today. This spacious aircraft can load up much heavier cargo items. Its cabin’s area is equivalent to 172 passenger seats. The MD90 also has a shipment capacity of 1,174 cubic feet. The customized aircraft can even combine passenger trips and freight transfers. To make the most of your upcoming flight, it’s best to inquire about the plane’s facilities today. Contact us to charter this private jet today. Fly to short haul, regional or nearby international destinations on the Merlin IV-C. Did you know this spacious aircraft has Short Take Off and Landing (STOL) capacities? This means it can operate on small airports and short runways. It’s also complete with the facilities you’ll need throughout your trip. Contact us to charter this private jet today. Going on a sightseeing trip? Then it’s best to book for the Mitsubishi MU-2. This short haul aircraft lets you fly to your intended location while appreciating the sceneries you’ll fly over. Its short bodied format can fly up to 7 people, while its long bodied version can accommodate 9 persons per flight. Contact us to charter this private jet today. This aircraft is best booked for short range trips. It can seat up to 9 people and it has a luggage capacity of 31 cubic feet. This plane can fly with a Maximum Take Off Weight (MTOW) of 11,500 pounds. The Marquise can also take you to as far as Mexico if you’re flying from Toronto. Contact us to charter this private jet today. 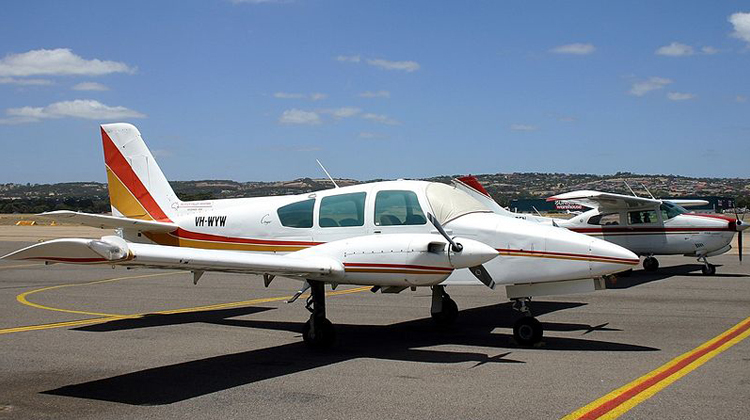 The Mooney M20 is great for quick meetings and getaways to regional destinations. This aircraft can seat up to 4 people and it has a luggage capacity of 33 cubic feet. It also flies with a Maximum Take Off Weight (MTOW) of 3,374 pounds. The Mooney M20 may also be great for sightseeing trips. Contact us to charter this private jet today. This classic looking aircraft usually seats up to 4 people per flight. The Nextant 400XT/XTi can also accommodate up to 8 people per trip. It has a luggage capacity of 56 cubic feet. Given its 3,710-kilometer range, this aircraft can fly to the nearest intercontinental destination. Contact us to charter this private jet today. The PAC 750 XL is great to book for sightseeing trips and skydiving adventures. This aircraft accommodates up to 9 people. It also operates with a Maximum Take Off Weight (MTOW) of 7,500 pounds. Did you know this aircraft also has Short Take Off Landing (STOL) capacities? This means it can operate on small airports and short runways. Contact us to charter this private jet today. The Partenavia P68 Victor would be great to book for quick trips. This aircraft can accommodate up to 5 people. It also has a luggage capacity of 48 cubic feet. It also flies with a Maximum Take Off Weight (MTOW) of 4,387 pounds. Contact us to charter this private jet today. This aircraft can take on short range flights and even trips to nearby continents. It can seat up to 6 people and it has a luggage capacity of 44 cubic feet. The Avanti also has a Maximum Take Off Weight (MTOW) of 12,100 pounds. To make the most of your trip, it would be best to inquire about its facilities with our flight specialists. Contact us to charter this private jet today. The Pilatus PC-12 can accommodate up to 6 people per flight. This plane also has Short Take Off and Landing (STOL) capabilities. This means it can operate on small airports and short runways. It also has a luggage capacity of 38 cubic feet. This plane has a Maximum Take Off Weight (MTOW) of 8,818 pounds. Contact us to charter this private jet today. This aircraft is great for sightseeing trips. You can also book for it if you’re rushing for a meeting. The Piper PA23 Apache can seat up to 5 people and it approximately flies with a takeoff weight of 48,000 pounds. This aircraft’s steady pace will ensure you’ll have a memorable sightseeing tour. Contact us to charter this private jet today. For quick meetings or romantic, sightseeing dates, the Aztec would be great for you to reserve. It can seat up to 5 people and it has a luggage capacity of 40 cubic feet. This aircraft’s Maximum Take Off Weight (MTOW) is at 5,200 pounds. To make the most of your trip on this aircraft, be sure to ask about its details to our flight experts today. Contact us to charter this private jet today. The Navajo is great to book for sightseeing tours. If you need to reach a meeting real quick, this aircraft can take you across the city and even to regional destinations. It has a luggage capacity of 40 cubic feet. This also flies with a Maximum Take Off Weight (MTOW) of 6,500 pounds. Contact us to charter this private jet today. This aircraft has Short Take Off and Landing (STOL) capabilities. The Chieftain can operate on small airports and short runways. This agile plane can accommodate up to 7 passengers. It also has a Maximum Take Off Weight (MTOW) of 6,500 pounds. Contact us to charter this private jet today. The Cheyenne I/II seats up to 7 people. It also has a luggage capacity of 28 cubic feet. This plane flies with a Maximum Take Off Weight (MTOW) of 9,000 pounds. The aircraft can also reach nearby, international locations such as Cancun, Mexico if you’re coming from Ontario, Canada. Contact us to charter this private jet today. The Seneca seats up to 5 people, with a luggage capacity of 15 cubic feet. It approximately has a takeoff weight of 4,750 pounds. This aircraft is great to book for quick meetings, weekend getaways or sightseeing trips. To make the most of your trip, ask more about its specifications from our flight experts. Contact us to charter this private jet today. Known for its T-shaped tail, the Piper PA42T Cheyenne III/IV was manufactured to seat up to 9 people per flight. This short range plane can even take on trips to the nearest, intercontinental destinations. 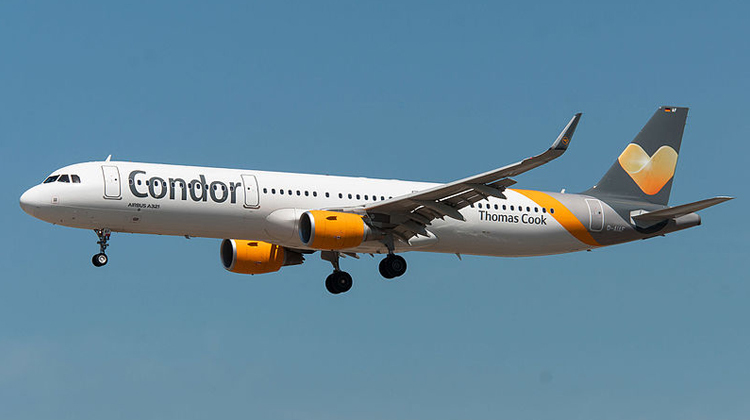 For instance, if you’re coming from Toronto, Canada, this aircraft lets you fly as far as the UK or Portugal. It also has a luggage capacity of up to 640 cubic feet, plus it flies with a Maximum Take Off Weight (MTOW) of 11,200 pounds. Contact us to charter this private jet today. The Seminole is known for short haul trips, such as quick business meetings or sightseeing tours. This twin-winged, monoplane can fly up to 3 passengers per flight. It also has a Maximum Take Off Weight (MTOW) of 3,800 pounds. This is just the aircraft you’ll need if you’re up for a no-fuss, yet refreshing type of trip. Contact us to charter this private jet today. Skip out on heavy traffic and instead, have enjoyable trips along the skies via the Piper Meridian. The aircraft can seat up to 5 people per trip. For your guidance, the plane flies with a Maximum Take Off Weight (MTOW) of 5,092 pounds. Upon flying off the ground the Meridian can also reach its highest altitude at 27,000 feet, in less than 15 minutes. Contact us to charter this private jet today. The Aerostar is best for quick meetings and weekend getaways. This 5-seat aircraft also has Short Take Off and Landing (STOL) features. This means it can operate on small airports with short runways. It also has a luggage capacity of 30 cubic feet, plus it flies with a Maximum Take Off Weight (MTOW) of 14,000 pounds. Contact us to charter this private jet today. This lightweight plane is known for its speed and Short Take Off and Landing (STOL) capacities. With its executive layout, it’s just the practical aircraft to book for, especially if you’re flying to or from a small airport with short runways. It flies with a luggage capacity of 30 cubic feet. To make the most of your trip, it’s best to confirm about its facilities with our flight experts. Contact us to charter this private jet today. With its reliable features, the PZL M-20 Mewa was used for air ambulance operations. It can fly to smaller airports with short runways, with its Short Take Off and Landing (STOL) capacities. This aircraft can also seat up to 6 people in every trip. For your guidance, it also flies with a Maximum Take Off Weight (MTOW) of 4,554 pounds. Contact us to charter this private jet today. The SA226 Metro brings spacious convenience on short range flights. Its space is equivalent to 19 passenger seats, and it even has a luggage capacity of 147 cubic feet. This aircraft approximately has a takeoff weight of 15,000 pounds. To make the most of your trip, it’s best to inquire about its interior facilities with our flight experts. Contact us to charter this private jet today. Short haul trips are made more convenient on board the SA26 Merlin. This reliable aircraft can also fly to or from small airports with short runways, as it has Short Take Off and Landing (STOL) capacities. It can accommodate up to 6 people per flight, and its luggage capacity is at most, set at 77 cubic feet. Know more about its features by asking one of our flight experts. Contact us to charter this private jet today. Regional and short range trips are made more enjoyable with the spacious Saab 2000. This customized aircraft’s cabin is equivalent to 58 passenger seats. It also has a luggage capacity of 360 cubic feet. For your guidance, is has a Maximum Take Off Weight (MTOW) of 50,265 pounds. Contact us to charter this private jet today. The Saab 340 is great for even more space and convenience during short haul trips. This plane has been customized, given its 37-seats’ worth of space. It also has a luggage capacity of 293 cubic feet with a Maximum Take Off Weight (MTOW) of 29,000 pounds. This aircraft is ideal for regional destinations. Contact us to charter this private jet today. This aircraft can fly to medium sized airports. The Sabreliner 40 is also known for its reliability. It can also seat up to 6 passengers and 2 pilots per trip. For your guidance, it has a Maximum Take Off Weight (MTOW) of 19,500 pounds. Contact us to charter this private jet today. This roomy, executive jet can seat up to 7 people in every trip. It’s also ideal for regional and nearby, international destinations. The aircraft also has a luggage capacity of 43 cubic feet, plus it flies with a Maximum Take Off Weight (MTOW) of 24,000 pounds. At 45,000 feet the Sabreliner 60/65 also has quite a high flying altitude for a short haul plane. This means it can avoid challenging weathers and busy, air traffic activities. Contact us to charter this private jet today. With more speed and a much roomier cabin, the private Sabreliner 75 is a short haul plane to suit your needs. It can seat up to 7 people per flight. This aircraft also has a luggage capacity of 43 cubic feet. For your guidance, it has a Maximum Take Off Weight (MTOW) of 24,000 pounds. Contact us to charter this private jet today. The Shorts 330 is great for spacious, practical trips. This plane’s space is equivalent to 30 passenger seats. With a 1,391-cubic feet luggage capacity, the aircraft can be booked for regional or nearby, international destinations. To make the most of your upcoming trip, it’s best to confirm the aircraft’s facilities from one of our flight specialists. Contact us to charter this private jet today. aboard this aircraft, you can fly as far as Indiana, USA or Quebec if you’re flying from Toronto, Canada. Contact us to charter this private jet today. The SJ30 is great for business trips and even weekend getaways. It can fly to regional, and nearby international or intercontinental destinations. If you’re coming from Toronto, Canada, this 6-seater can fly you to Alaska, USA, Iceland or even the Northern Territories. It also has a maximum luggage capacity of 53 cubic feet. Contact us to charter this private jet today. For comfy rides to short haul destinations, it’s best to book for the SOCATA TBM700. This aircraft can seat up to 6 people per flight. Its luggage compartment also has a capacity of 123 cubic feet. This flies at a Maximum Take Off Weight (MTOW) of 6,758 pounds. Contact us to charter this private jet today. The P2006T is considered to have one of the lightest weights in the short haul category. It can fly up to 2 people per trip, and its best to book for quick meetings or sightseeing trips. The aircraft also has a luggage capacity of 12 cubic feet. It flies with a Maximum Take Off Weight (MTOW) of 2,600 pounds. Contact us to charter this private jet today. This plane brings comfort and spaciousness for short haul travelers. The Tu134’s space is equivalent to 84 passenger seats. It also flies with a Maximum Take Off Weight (MTOW) of 109,940 pounds. To make the most of your upcoming trip, you may ask about its exact facilities by calling our flight specialists. Contact us to charter this private jet today. Tupolev’s Tu204 is great to book for luxurious trips on short haul flights. This aircraft’s space is equivalent to 200 passenger seats. It also flies with a Maximum Take Off Weight (MTOW) of 194,000 pounds. If you’re flying from Toronto, Canada, the Tu204 can fly you to as far as Nunavut, Georgetown, Guyana, Bogota, Colombia or Greenland. Contact us to charter this private jet today. You’ll be sure to have a comfy, short haul flight on the Turbo Commander 690. This aircraft can seat up to 10 passengers. It also has a luggage capacity of 45 cubic feet. For your guidance, the aircraft flies at a Maximum Take Off Weight (MTOW) of 11,000 pounds. Contact us to charter this private jet today. Will you be landing to or flying from non-asphalt fields? Then it would be practical to book for the Yak 40. This customized aircraft has a 36 seat configuration. For your guidance, the Yak 40 also has a Maximum Take Off Weight (MTOW) of 34,000 pounds. Contact us to charter this private jet today. The Yak 42 is one of the most spacious planes around for short haul flights. Its area is equivalent to 120 passenger seats. It also flies with a Maximum Take Off Weight (MTOW) of 126,765 pounds. To make the most of your upcoming trip, inquire about its features via our flight specialists today. Contact us to charter this private jet today. As you can see, we’ve got hundreds of plane models for you to choose from. Did you know we inventory the world’s largest network of over 9,500 aircraft worldwide? Simply sign up or download the Jettly app at Jettly.com to get your very own ride, real quick. For more queries, feel free to ask our helpful Flight Success Team or call our flight experts at +1 866-448-2358 today.